Note that the embedded audio is best played in Adobe Reader. Nearly half a century has passed since Philippine educator Teodoro Llamzon discovered the Remontado language, which would be introduced to the world in a master’s thesis written by his student Pilar Santos. Although data from the wordlists they collected have been included in subsequent publications by several other authors, no one had revisited the language community, let alone collected any additional data on this highly-endangered language, prior to the current authors. This article presents updated information on the language community, the current state of the language, and a revised description of the various grammatical subsystems of the language, including its verbal morphology. Also included are over 400 audio recordings illustrating basic aspects of the phonology as well as the various functor sets and verb forms, and a short text for comparison with other similar language sketches. This paper addresses the gaps between language documentation and language revitalization. It is intended for several audiences, including field linguists interested in supporting endangered language sustainability efforts and participants of all kinds in language revitalization courses, programs, and infrastructure. The authors contend that ethnographic methods have transformative potential for contemporary language revitalization practice. Using anthropological tools, linguists and/or speech community members can enrich documentary efforts, mobilize linguistic data for more effective revitalization programs, and improve assessments of language revitalization projects. Beginning with a discussion of ethnographic methods and their connection to existing linguistic practices, this paper moves on to address the impact of language revitalization planning and infrastructure on endangered language use. It then outlines key ethnographic concepts that were identified as particularly useful in two pilot ethnographic methods classes run by the authors in 2015 and 2016, each of which can be operationalized using the basic tenets of participant observation. These concepts present ways of re-evaluating understandings of “communities”; considering language ideologies, ideological clarification, and language socialization; recognizing the nature and implications of different social roles and identities of those involved in revitalization projects; and attuning to genre and intertextuality in the development of resources. The incorporation of both basic ethnographic methodologies and of conceptual frames like these can supplement a field linguist’s or a language revitalization program’s tools to help them better collaborate across differences, support and assess language programs, and understand the obstacles that may exist between them, their collaborators, and sustainable language vitality. This paper introduces Kwaras and Namuti, two new tools for building, managing, accessing, and mobilizing ELAN-based language documentation corpora. Kwaras integrates WAV files, ELAN annotations, and document metadata into a web-based corpus, allowing immediate access to annotations and recordings. Namuti builds from Kwaras and enables different uses of language documentation products for different audiences and provides links from linguistic analyses to language documentation corpora. The main goal of these new tools is three-fold: (i) to facilitate the use of language documentation in linguistic analysis; (ii) to increase transparency of documentation-based analyses, providing interested users full access to the data on which generalizations are based and contextualization of the projects that generated the data; and (iii) to enable uses of language corpora that may serve the interests of multiple stakeholders, including academic researchers and community members interested in language maintenance and revitalization. We provide a basic overview of how Kwaras and Namuti work, lay out instructions on how to download and use Kwaras, and discuss what uses it currently supports. This article also issues a call for increased collaboration between linguists, community members, language activists, and software developers to further develop these and other similar resources. 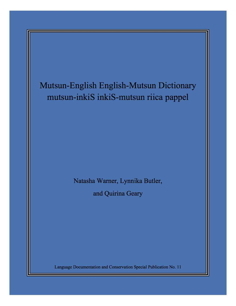 This paper gives a detailed overview of the archived language documentation materials for the two languages spoken in northern Ambrym, Vanuatu: North Ambrym and Fanbyak. I discuss the speakers and the language situation in northern Ambrym to give readers an introduction to the culture of the area. The archived materials encompass five different research projects focusing on the two languages, including documentation and literacy development projects. Data collection, workflows, file-naming conventions, and community involvement are all discussed. The deposited materials are described along with overviews of the different genres, sub-genres, and keywords to enable users to navigate and discover relevant recordings. Despite sharing many cultural, historical, and socioeconomic characteristics, Totonac communities have markedly distinct language use patterns and practices. Some communities have adopted the mainstream hegemonic discourse in Mexico that denigrates indigeneity and subsequently abandoned Totonac (Lam 2009). In other communities, such as Ozelonacaxtla, an alternate discourse dominates that values multilingualism, and Totonac is widely spoken by the vast majority of the community. This variation across Totonac communities facing the same broad pressures to shift to Spanish demonstrates that current sociodemographic models of language shift lack significant predictive power. By examining not only sociodemographic factors, but also language ideology, this study seeks to determine whether and how language use in Ozeloancaxtla is qualitatively different in nature from other Totonac communities. Interpreting language use in Ozelonacaxtla is undertaken in the methodology of qualitative linguistic ethnography (Copland & Creese 2015). Results show that Ozelonacaxtla Totonac is currently used in almost all community and home domains; however some threats to continued sustainability are recognized. Three main language ideologies in Ozelonacaxtla are identified: (i) language is an index of identity, (ii) language is important/useful, and (iii) Totonac should not be lost. These main discourses are used by speakers to explain, justify, and contest language use patterns and practices, and significant differences in ideology are found across Totonac communities with contrasting language use. This demonstrates the importance of examining ideology in order to accurately interpret language use and best position potential efforts to support language sustainability, documentation, and revitalization. This paper documents a collaboration between the Klamath Tribes and the American Indian Language Development Institute (AILDI) focused on intra-community capacity-building and early stages of language planning through immersion activities, survey responses, and discussion of intra-community involvement. In December 2016, I facilitated a three-day maqlaqsyals (Klamath-Modoc language) immersion workshop, “maqlaqsyalank hemyeega”, on the Klamath reservation. Each day, immersion lessons focused on developing conversational use of maqlaqsyals between participants. During each lunch hour, participants shared personal goals and priorities regarding successful language revitalization. Ten tribal community members, including myself, made explicit their interest of sharing knowledge within the larger tribal community. Many of the workshop participants expressed the goal of using the language with their families while some participants expressed that the workshop had already helped them reach a personal goal in three days. Participants also discussed obtaining linguistic resources and establishing domains of language use. Understanding current interests of language in my tribal community provides early steps toward developing the framework of a “good linguist” in the maqlaqsyals revitalization movement. Negidal is a Northern Tungusic language closely related to Evenki with two recognized dialects, Upper and Lower Negidal. This nearly extinct language used to be spoken in the Lower Amur region of the Russian Far East by people whose traditional way of life was based on fishing and hunting. While the number of remaining active speakers of Upper Negidal was more or less known, the current state of Lower Negidal was still uncertain. We here report on a trip to ascertain the state of Lower Negidal and give a precise assessment of the linguistic situation of both dialects. While the Upper dialect is still represented by seven elderly female speakers, varying in proficiency from fully fluent to barely able to produce a narrative, not a single active speaker of Lower Negidal is left. The language will therefore probably be extinct in the next decade or two. As the discipline of language documentation and description evolves, so do the expectations placed on researchers. Current trends emphasize collaborative efforts that prioritize tangible contributions to the community, such as a pedagogical grammar, dictionary, or collection of texts. Some argue that for unwritten languages orthography development is imperative so that materials prepared by the researcher (perhaps in collaboration with the community) are accessible to speakers. In light of the current discussions of methodology and ethical issues related to endeavors to document and describe the world’s languages, this paper explores the challenges faced by a single researcher (the author) working on a single language (Darma) within a multilingual setting (in India). This project emphasizes ethnographic and discourse-centered research methodologies which reveal language ideologies that are discussed here to demonstrate that while orthography development is a reasonable objective in many cases, one must be sensitive to a variety of interconnecting issues including history, social relationships, language ideology, and local politics associated with writing and education. While orthography development has not been a viable option in the Darma Documentation and Description Project, it is nevertheless a matter that needs to be addressed for the benefit of the community as well as ongoing discussions of methodology and best practices in linguistic and anthropological research. This paper provides an up-to-date report on the vitality or endangerment status of contact languages around the world, including pidgins, creoles, and mixed languages. By utilizing information featured in the Endangered Languages Project and the Atlas of Pidgin and Creole Languages online portals, 96 contact languages are assessed on the Language Endangerment Index, a method of assessment that is based on four factors including intergenerational transmission, absolute number of speakers, speaker number trends, and domains of use. Results show that the contact languages are most at risk with respect to intergenerational transmission and domains of use. This is explained by the social and historical nature of contact languages. Overall results further raise the concern that the proportion of pidgins, creoles and mixed languages at some level of risk is extremely high. Reasons are provided for why linguists should be concerned about the endangerment of these languages. Automated alignment of transcriptions to audio files expedites the process of preparing data for acoustic analysis. Unfortunately, the benefits of auto-alignment have generally been available only to researchers studying majority languages, for which large corpora exist and for which acoustic models have been created by large-scale research projects. Prosodylab-Aligner (PL-A), from McGill University, facilitates automated alignment and segmentation for understudied languages. It allows researchers to train acoustic models using the same audio files for which alignments will be created. Those models can then be used to create time-aligned Praat TextGrids with word and phone boundaries marked. For the benefit of others who wish to use PL-A for research projects, this paper reports on our use of PL-A on Tongan field recordings, reviewing the software, outlining required steps, and providing tips. Since field recordings often contain more background noise than the laboratory recordings for which PL-A was designed, the paper also discusses the relative benefits of removing background noise for both training and alignment purposes. Finally, it compares acoustic measures based on various alignments and compares boundary placements with those of human aligners, demonstrating that automated alignment is both feasible and less time-consuming than manual alignment. In this paper we present Kratylos, at www.kratylos.org, a web application that creates searchable multimedia corpora from data collections in diverse formats, including collections of interlinearized glossed text (IGT) and dictionaries. There exists a crucial lacuna in the electronic ecology that supports language documentation and linguistic research. Vast amounts of IGT are produced in stand-alone programs without an easy way to share them publicly as dynamic databases. Solving this problem will not only unlock an enormous amount of linguistic information that can be shared easily across the web, it will also improve accountability by allowing us to verify analyses across collections of primary data. We argue for a two-pronged approach to sharing language documentation, which involves a popular interface and a specialist interface. Finally, we brieﬂy introduce the potential of regular expression queries for syntactic research. In this paper we describe single-event Rapid Word Collection (RWC) workshop results in 12 languages, and compare these results to fieldwork lexicons collected by other means. We show that this methodology of collecting words by semantic domain by community engagement leads to obtaining more words in less time than conventional collection methods. Factors contributing to high and low net word senses are summarized, addressed, and suggestions given for increasing effectiveness of the RWC procedures. Relevant points are illustrated in detail using a 2015 Natügu [ntu] RWC workshop in the Solomon Islands. We conclude that the advantages of the single-event RWC workshop strategy warrant recommending it as best practice in lexicographic fieldwork for minority languages. This article provides an overview of the collection “Kagate (Syuba)”, archived with both the Pacific and Regional Archive for Digital Sources in Endangered Cultures (PARADISEC) and the Endangered Language Archive (ELAR). It provides an overview of the materials that have been archived, as well as details of the workflow, conventions used, and structure of the collection. It also provides context for the content of the collection, including an overview of the language context, and some of the motivations behind the documentation project. This article thus provides an entry point to the collection. The future plans for the collection – from the perspectives of both the researcher and Syuba speakers – are also outlined, but with the overwhelming majority of items in the collection available to others, it is hoped that this article will encourage use of the materials by other researchers. Within most subfields of linguistics, the term “speaker” is often used in a shorthand, nonspecific way. In referring simply to “speakers” of endangered languages, the nuances of proficiency, language use, self-identification, and local language ideologies are collapsed into a binary: speaker vs. non-speaker. Despite the central role of local language ideologies in shaping patterns of language shift and maintenance, insiders’ perceptions of speaker status are not often investigated as part of language documentation projects. This paper approaches the issue of speaker status in Iyasa, a threatened Coastal Bantu language of Cameroon and Equatorial Guinea, through the firsthand accounts of self-identified Iyasa speakers. Using a discourse-analytic approach and the framework of identity and interaction (Bucholtz & Hall 2005), this paper examines the ways Iyasa speakers construct “speakerhood” in discourse, respond to researchers’ language ideologies, and position their own and others’ proficiency in Iyasa. Local language ideologies which equate ruralness, elderliness, and authenticity are discussed, as well as their links to similar ideologies in linguistics. Finally, the implications for language documentation and maintenance work in the Iyasa community are discussed. This paper describes ongoing work to create a suite of integrated web resources in support of Blackfoot language documentation, maintenance, and revitalization efforts. Built around a digital dictionary, the website also contains grammar sketches, a library of other language-related resources, and a story archive. The project began its life as advocacy research (i.e., a digital repatriation project) but developed into empowerment research through community participation. The first phase consisted of back-digitization of an existing print dictionary. The second phase, which is ongoing, works toward making the dictionary user-friendly for speakers, learners, and teachers, and embedding it in a website that contains supporting content. Key features are developed collaboratively with Blackfoot community members. In order to create an environment in which all participants are equally empowered to help shape the project, a Participatory Action Research approach was adopted for the second phase of teamwork. This resulted in important new priorities for presentation, content, and enhancement of features. It has also had impact on the participants themselves, who developed awareness and new relationships as well as acquiring new skills and knowledge, which for some contributed to new jobs and academic directions. Finally, the project is producing new material to address existing research questions and generating new questions for future research projects. Pronunciation is an important aspect of Indigenous language learning, and one which requires creative community-oriented solutions. Towards this end, we have developed a pronunciation learning tool that incorporates ultrasound technology to give learners a visual aid to help them articulate unfamiliar and/or challenging sounds. Ultrasound is used to create videos of a model speaker’s tongue movements during speech, which are then overlaid on videos of an external profile view of the model’s head to create ultrasound-enhanced pronunciation videos for individual words or sounds. A key advantage of these videos is that learners are able see how speech is produced rather than just hear and try to mimic it. Although ultrasound-enhanced videos were originally developed for commonly taught languages such as Japanese and French, there has been widespread interest from Indigenous communities in Western Canada to develop their own customized videos. This paper reports on three collaborations between linguists and communities in British Columbia to develop ultrasound-enhanced videos for the SENĆOŦEN, Secwepemc, and Halq’emeylem languages. These videos can give learners a new way to learn pronunciation that focuses on seeing speech, and can create new documentation of understudied sound systems for future generations. The main aim of language documentation is to create a long-lasting multipurpose record that captures the wealth of linguistic practices of a speech community. The purpose is to reflect traditions, customs, culture, civilization, etc. This article defines, navigates and provides insights into the contents of one particular language documentation project, namely the “Documentation of the Beth Qustan Dialect of the Central Neo-Aramaic Language Turoyo”. The documentation of Turoyo was funded by the Endangered Languages Documentation Programme (ELDP), at the School of Oriental and African Studies (SOAS), University of London. All the materials collected have been archived with the Endangered Languages Archive (ELAR), at SOAS, University of London. The materials held are digital and they are freely available to all users of ELAR at https://elar.soas.ac.uk/Collection/MPI1035085. The world harbors a diversity of some 6,500 mutually unintelligible languages. As has been increasingly observed by linguists, many minority languages are becoming endangered and will be lost forever if not documented. Urgently indeed, many efforts are being launched to document and describe languages. This undertaking naturally has the priority toward the most endangered and least described languages. For the first time, we combine world-wide databases on language description (Glottolog) and language endangerment (ElCat, Ethnologue, UNESCO) and provide two online interfaces, GlottoScope and GlottoVis, to visualize these together. The interfaces are capable of browsing, filtering, zooming, basic statistics, and different ways of combining the two measures on a world map background. GlottoVis provides advanced techniques for combining cluttered dots on a map. With the tools and databases described we seek to increase the overall knowledge of the actual state language endangerment and description worldwide. Automatic speech recognition tools have potential for facilitating language documentation, but in practice these tools remain little-used by linguists for a variety of reasons, such as that the technology is still new (and evolving rapidly), user-friendly interfaces are still under development, and case studies demonstrating the practical usefulness of automatic recognition in a low-resource setting remain few. This article reports on a success story in integrating automatic transcription into the language documentation workflow, specifically for Yongning Na, a language of Southwest China. Using Persephone, an open-source toolkit, a single-speaker speech transcription tool was trained over five hours of manually transcribed speech. The experiments found that this method can achieve a remarkably low error rate (on the order of 17%), and that automatic transcriptions were useful as a canvas for the linguist. The present report is intended for linguists with little or no knowledge of speech processing. It aims to provide insights into (i) the way the tool operates and (ii) the process of collaborating with natural language processing specialists. Practical recommendations are offered on how to anticipate the requirements of this type of technology from the early stages of data collection in the field. This paper describes phonemic and phonetic variation attested in Enets, a highly endangered Uralic language of Northern Siberia. This variation is worth describing for three reasons. First of all, it is a part of documenting phonology of this disappearing language. Second, it is extremely frequent and widespread, including most words of the lexicon, but at the same time it does not visibly correlate with any social parameters, so this is one more case study in the vein of the sociolinguistic agenda set by Dorian (2001; 2010). Third, the Enets variation presents a challenge for consistent transcription, let alone an orthography design. These three reasons structure the paper: after an introductory section on the Enets community, languages used in the community in past and present, methodology of this study, and phonological profile of Enets, I proceed to a phonological description of the variation (section 2), to sociolinguistic details of this variation (section 3), and finally to issues of representation of the Enets data in a vain search for a perfect orthography for the language (section 4). Crucially, the last reason was the driving force for this research in the first place, as “[c]reating a phonemic orthography implies at least a basic phonological analysis preceding its design” (Jany 2010:234) and “faulty phonological analyses give rise to faulty orthographies” (Rehg 2004:506). Being neither a phonetician, nor a phonologist, I had initially aimed only for a basic description of sound patterns for the sake of an orthography; however, it quickly became evident that the puzzle of variation in Enets was not to be taken lightly, and more specific research was conducted. However, despite all the work done, I still see the results rather as a grounding for a consistent transcription/orthography than as a full phonological description. For the latter, Enets is still awaiting a talented phonologist, while our documentation project aimed hard to preserve exemplars of Enets sounds for this purpose (see Khanina 2017 for details). Gender is a significant social category that needs to be taken into consideration when working with Australian Aboriginal communities. Whilst archives hold knowledge systems that encode cultural practices of huge importance to current Australian Indigenous language revitalization projects, women have often been marginalized and excluded due to culturally inappropriate practices of collection, storage, and access. As women working in an archive, the authors provide a gendered perspective on the development of workflow processes that have the potential to re-orientate the relationship with endangered language communities and contribute to the negotiation of agency for Aboriginal women in the archival space. This paper draws on the experience of an Australian archiving service involved in a partnership with an Aboriginal organization to digitize resources and facilitate their return to the originating communities. As part of the partnership, tapes of women’s songs from central Australia were digitized using the skills of a female audio engineer. The paper argues that utilizing a female chain of linguist, anthropologist, musicologist, data administrator, and audio engineer in a participatory loop empowered the women in community to make choices knowing that their cultural property was being handled with respect and in a culturally appropriate manner. Scottish Gaelic, a Celtic language spoken primarily in the western regions of Scotland, is experiencing sustained contraction in its geographical extent and domains of use. Native speakers of the language are mostly over 40, and relatively few children are acquiring the language in the home. In the media, Gaelic is typically represented by a standardized form, and children learning the language through Gaelic-medium education – currently the only demographic where Gaelic is expanding – tend to acquire a standardized form of the language as well. Consequently, the rich regional diversity Gaelic once displayed has been considerably reduced in recent decades, and is likely to suffer further significant losses within the next generation. There is an imperative, therefore, to create a record of the surviving diversity within the language, focusing most urgently on remaining speakers of dialects most at risk. In this paper, we describe our ongoing efforts to develop an audio-video corpus of Gaelic which represents as diverse a range of Gaelic dialects as possible, with particular attention to those varieties most immediately at risk of loss. The corpus contains material collected over the past four years through extensive fieldwork among historically Gaelic-speaking communities in the Scottish Highlands and Islands. Nagy, Naomi. Documenting variation in (endangered) heritage languages: how and why? This volume will grow incrementally with new chapters added between 2017 and 2020. Mako [ISO 639-3: wpc], a Sáliban language spoken along the Ventuari River in the Venezuelan Amazon, has been variably reported as (critically) endangered and threatened. These reports, however, are based on second-hand information and/or self-reported census data. In this article, I present a vitality assessment of Mako that relies on first-hand fieldwork data from 20 communities in the Middle Ventuari River area. The analysis of the data – collected through interviews, community censuses, and participant observation between 2012 and 2014 – shows that the situation is not as dire as previously reported and that the language is very vital in its local context. I also show that the place of Mako in the regional and national contexts put it in a vulnerable position and that steps should be taken to ensure its presence in new domains of use. Methodologically, I show the importance – and argue in favor – of including data from long-term participant observation in analyses and reports of linguistic vitality because of the access this methodology provides to tacit knowledge about language use and attitudes. This work thus contributes both to our understanding of language vitality among the Mako communities and to discussions of best practices in language vitality assessments. Existing methods for collecting and analyzing nasality data are problematic for linguistic fieldworkers: aerodynamic equipment can be expensive and difficult to transport, and acoustic analyses require large amounts of optimally-recorded data. In this paper, a highly mobile and low-cost method is proposed. By connecting low impedance earbuds into a microphone jack of a recording device and placing one earbud immediately below one nostril while keeping the other earbud by the mouth, it is possible to capture the relative intensity of sound exiting the nasal and oral cavities. The two channels can then be normalized to assess the relative prominence of nasality and orality in a given speech sound. This method can not only be used to establish whether nasality is present in a speech signal, but it can also provide information about the timing and duration of nasal gestures. As such, it is an ideal tool for collecting high-quality nasality data in the field. Linguists are sometimes confronted with choices concerning language names. For example, one and the same language may be referred to as Persian or Farsi. This short paper discusses some principles that one might use for making decisions when there are variant forms in use, or when one feels that none of the existing names is appropriate. The principles discussed here arose from work on Glottolog, an English-language database of the world’s languages (Glottolog.org), where each language has a single primary English name (though variant forms are of course included), and where the goal is to choose the best variant form as the primary name of the language. Whenever the question arises which variant name form to choose, the Glottolog editors are guided by these principles, so they are formulated in a prescriptive way, but with explanation and justification for each principle. It seems that the general issue is also quite important for language documenters, because the names of non-major languages are often not fully established yet, and naming decisions have to be made. In this article we present the IATH ELAN Text-Sync Tool (ETST; see http://community.village.virginia.edu/etst), a series of scripts and workflow for playing ELAN files and associated audiovisual media in a web browser either on- or off-line. ELAN has become an indispensable part of documentary linguists’ toolkit, but it is less than ideal for mobilizing the transcribed media it allows linguists to create when they have reason to display these materials in non-research settings where linguists are not the primary audience. In conjunction with display of a video or audio file, ETST plays tiers of transcript for overlapping speech, along with optional glosses, and distinguishes speakers with participant codes. Using ETST requires no programming knowledge, but with some such knowledge the tool can be readily customized to suit users’ needs. To that extent, ETST is a simple browser-based transcript player that can be used either as is, “out of the box”, or as a basis for further development. We hope that ETST will be a helpful addition to documentary linguists’ repertoire of digital tools, making it easier for them to share materials with all those who have a stake in their research. The assessment of language endangerment requires accurate estimates of speaker populations, including information about the proficiency of different groups within those populations. Typically, this information is based on self-assessments, a methodology whose reliability is open to question. We outline an approach that seeks to improve the accuracy of self-assessment by exposing participants to a simple linguistic task before they render their judgments. The viability of the approach is evaluated with the help of a case study involving 81 partial speakers of Jejueo, a critically endangered Koreanic language. For language documentation to be sufficiently extensive to cover a given community’s language practices (cf. Himmelmann 1998), then including verbal arts is essential to ensure the richness of that comprehensive record. The verbal arts span the creative and artistic uses of a given language by speakers, such as storytelling, songs, puns and poetry. In this paper, I demonstrate the significance of verbal arts documentation in three other ways. Drawing from Indigenous language community contexts in the United States, I describe how the verbal arts are relevant to linguistic theory, revitalization and training. First, the influence by verbal arts on phonological theory is attested, affirming that the collection and analysis of verbal arts data plays a significant role in the phonological analysis of a given language and in theories of phonology. Second, the verbal arts generate extremely useful examples in training models for language work, since such examples can be used to cultivate phonological awareness in learners and teachers. Third, the verbal arts provide culturally meaningful materials for language revitalization. Ease of access, production, and distribution have made online technologies popular in language revitalization. By incorporating multimodal resources, audio, video, and games, they attract indigenous communities undergoing language shift in hopes of its reversal. However, by merely expanding language revitalization to the web, many language learning websites often include already existing language ideologies seen in existing resources. Many of the ideologies reported for Native North American languages can be harmful to language maintenance. In particular, such problems as limited social ecology of language use, elder purism, reliance on memorization, and others have been widely reported to be the “stumbling blocks” in language revitalization. Through examining different types of Algonquian websites, this study demonstrates that these language ideologies are not unique to classroom instruction but often are reiterated online. The unique advantage of the online resources, however, is their flexibility and diversity which allow language revitalization workers to implement many different instructional designs. In appealing to different types of learners through using various types of language instruction, some online language learning resources can not only diversify language learning but also re-contextualize the indigenous language. The online space becomes a useful tool for supplying alternative teaching materials, histories, and contexts. Through such representation of the language, this study argues, online language revitalization can engage a wider audience and fulfill the goals of cultural revival. This study recommends broadening the contextual instructions, various procedures, and including more language learners in the creation of the materials. Language documentation and description are closely related practices, often performed as part of the same fieldwork project on an un(der)-studied language. Research trends in recent decades have seen a great volume of publishing in regards to the methods of language documentation, however, it is not clear that linguists’ awareness of the importance of robust data-collection methods is translating into transparency about those methods or data citation in resultant publications. We analyze 50 dissertations and 50 grammars from a ten-year span (2003–2012) to assess the current state of the field. Publications are critiqued on the basis of transparency of data collection methods, analysis and storage, as well as citation of primary data. While we found examples of transparent reporting in these areas, much of the surveyed research does not include key information about methodology or data. We acknowledge that descriptive linguists often practice good methodology in data collection, but as a field we need to build a better culture with regard to making this clear in research writing. Thus we conclude with suggested benchmarks for the kind of information we believe is vital for creating a rich and useful research methodology in both long and short format descriptive research writing. The concept of “resilience” originated in both ecology and psychology, and refers to the propensity of a system or entity to “bounce back” from a disturbance. Recently, the concept has found increasing application within linguistics, particularly the study of endangered languages. In this context, resilience is used to describe one aspect of long-term, cyclical changes in language vitality. Proponents of “resilience linguistics” argue that understanding long-term patterns of language vitality can be of use in fostering resilience in, and therefore maintenance of, endangered languages. This article takes a critical look at these proposals, based on the examination of long-term trends in the Monguor and Saami languages. Choguita Rarámuri (Tarahumara) is a Uto-Aztecan language spoken in Northern Mexico of great typological, theoretical, and historical significance. This paper presents an overview and background of the Choguita Rarámuri language description and documentation project and provides a guide to the documentary collection emerging from this project. This collection, deposited in the Endangered Languages Archive, is the result of collaboration with community members with the long-term goals of aiding in language preservation efforts and the development of a reference grammar of the language. While the production of linguistic analysis in the form of the reference grammar and other publications motivates a significant amount of the documentary corpus, the collection was also theorized from the perspective of a variety of audiences and provides an example of community-based design of documentary materials. This paper provides details on the development of the project, which allows readers to contextualize the scope and nature of the resulting corpus. This paper also discusses current restrictions on access to the collection, as well as an overview of existing associated materials and work underway that seeks to provide direct links between the deposited collection and products of linguistic analysis. We present an initial web-based tool for St. Lawrence Island/Central Siberian Yupik, an endangered language of Alaska and Russia. 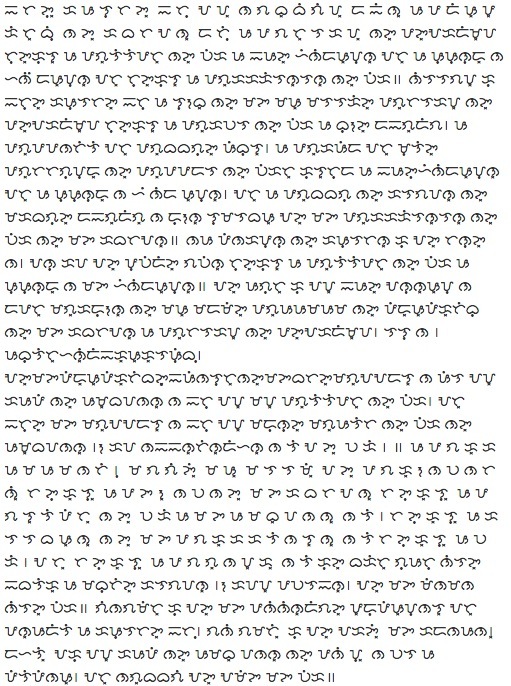 This work is supported by the local language community on St. Lawrence Island, and includes an orthographic utility to convert from standard Latin orthography into a fully transparent representation, a preliminary spell checker, a Latin-to-Cyrillic transliteration tool, and a preliminary Cyrillic-to-Latin transliteration tool. Also included is a utility to convert from standard Latin orthography into both IPA and Americanist phonetic notation. Our utility is also capable of explicitly marking syllable boundaries and stress in the standard Latin orthography using the conventions of Jacobson (2001), as well as in Cyrillic and in standard IPA notation. These tools are designed to facilitate the digitization of existing Yupik resources, facilitate additional linguistic field work, and most importantly, bolster efforts by the local Yupik communities in the U.S. and in Russia to promote Yupik usage and literacy, especially among Yupik youth. Lexical tone is a linguistic feature which can present difficulties for second language learners wanting to revitalize their heritage language. This is true not only from the standpoint of understanding and pronunciation, but also because tone is often under-documented and resources are limited or too technical to be useful to community members. Even with these challenges, carefully attending to the intricacies of a language’s sound system allows learners to express themselves more “authentically” or “naturally,” which can be important for confidence and acceptance as language users. Learners can be trained to distinguish tones by attending to acoustic or auditory cues related to tone (e.g., pitch contour). This paper describes multimedia resources designed to focus learner attention on perceiving tone — visual and audio accompaniments helping to increase the perception of tone in Cherokee, a severely endangered Native American language. We created resources for tone in the form of an electronic presentation containing explanations, example recordings, and intuitive images to provide audio and visual support for language learners. Presentation and format choices were collaboratively designed based on community requests, with an explicit attempt to de-jargonize materials and make them less technical and more accessible to community members. The Algonquian Linguistic Atlas (www.atlas-ling.ca) is an online multimedia linguistic atlas of Algonquian languages in Canada, built based on a template of conversational topics. It includes Algonquian languages primarily from the Cree-Innu-Naskapi continuum, but also from Blackfoot, Mi’kmaw, and Ojibwe (including Algonquin), with other languages in progress. In this paper we discuss how the data collected for the Algonquian Linguistic Atlas was used to conduct a bottom-up study of dialectal boundaries in Cree-Innu-Naskapi and their degree of relatedness to neighboring Algonquian languages. By studying the coincidence of phonological, lexical, grammatical, syntactic, and semantic isoglosses drawn from the Atlas data, we hope to show the research potential coming out of tools developed for pedagogical purposes. This research can in turn further guide the development of new terminology and more pedagogical resources, as well as lead to better understanding of dialectal differences and similarities across the language family. This paper consists of a short multimedia introduction to Lolak, a near-extinct Greater Central Philippine language traditionally spoken in three small communities on the island of Sulawesi in Indonesia. In addition to being one of the most underdocumented languages in the area, it is also spoken by one of the smallest native speaker populations in northern Sulawesi. Included in this overview are over 500 recordings of words and phrases pronounced by one of the oldest and most fluent speakers of the language, illustrating its phoneme system, grammatical subsets, and system of verbal affixation. Over the past 20 years, language documentation activities have been increasing all over the world. Major funding initiatives in Germany (Dokumentation Bedrohter Sprachen (DoBeS) funded by Volkswagen Stiftung), the UK (Endangered Languages Documentation Programme (ELDP) funded by Arcadia) and the US (Documentation of Endangered Languages (DEL) funded by the National Science Foundation) have enabled more and more scholars and students to conduct fieldwork and to document languages for which little or no documentation exists. Language documentation scholars have also initiated a critical evaluation of central concepts in the endangered languages documentation discourse, including assessments of concepts such as language endangerment and language shift, the documentary practices of scholars in the field and digital archiving practices. In particular, linguists working in Sub-Saharan Africa are now challenging the discussions traditionally dominated by North American and Australian discourses. New studies reinvigorating classic Boasian concepts and methodologies challenge the applicability of these concepts to the African context (see e.g. Essegbey et al. 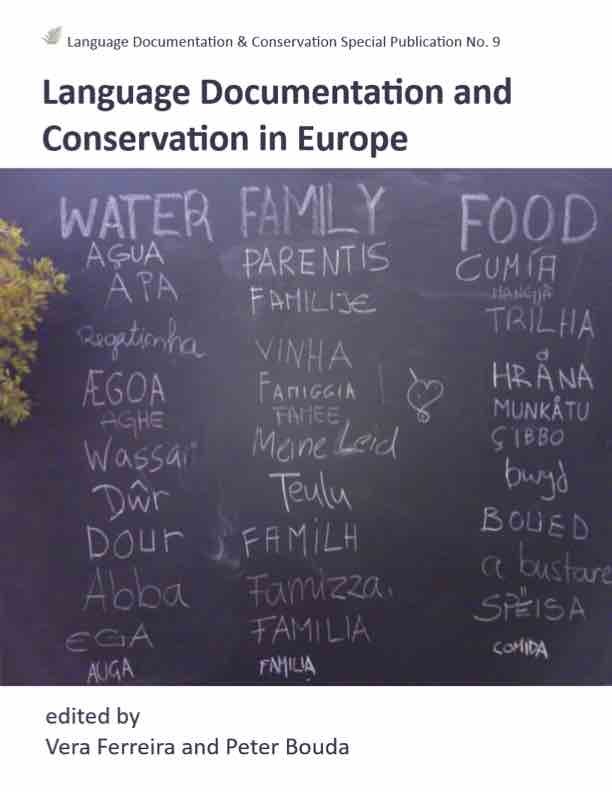 2015, Lüpke & Storch 2013, Mc Laughlin 2009, Vigouroux & Mufwene 2008), as many of the issues and proposed solutions of the language documentation discourse to date do not apply to many areas of the continent (nor, indeed, to the many multilingual linguistic ecologies that can be found worldwide). Scholars are proposing a rethinking of models, theories and methods in the discourse of language documentation and language endangerment. The main line of thought presented in this volume is a broadening of the scope of linguistic investigation and documentation with an ethnographic view. A deeper contextual embedding of linguistic data in a detailed description of language use and its sociocultural context allows for a better understanding and interpretation of current language ecologies and of the documentary and descriptive data gathered within them. A broader understanding of a larger set of language use patterns, linguistic contexts and ecologies can in turn feed into our understanding of how languages evolve, shift and change, and how multilingual patterns arise and may either persevere or decline. Abstract: This paper advocates the integration of ethnographic information such as anthroponymy in language documentation, by discussing the results of the documentation of personal names among speakers of Gújjolaay Eegimaa. Our study shows that Eegimaa proper names include names that may be termed ‘meaningless names’, because their meanings are virtually impossible to identify, and meaningful names, i.e. names whose meanings are semantically transparent. Two main types of meaningful proper names are identified: those that describe aspects of an individual’s physic or character, and ritual names which are termed death prevention names. Death prevention names include names given to women who undergo the Gaññalen ‘birth ritual’ to help them with pregnancy and birthgiving, and those given to children to fight infant mortality. We provide an analysis of the morphological structures and the meanings of proper names and investigate name changing practices among Eegimaa speakers. Our study shows that, in addition to revealing aspects of individuals’ lives, proper names also reveal important aspects of speakers’ social organisation. As a result, anthroponymy is an area of possible collaborative research with other disciplines including anthropology and philosophy. Abstract: The Tanzanian ethnic community language Kagulu is in extended language contact with the national language Swahili and other neighbouring community languages. The effects of contact are seen in vocabulary and structure, leading to a high degree of linguistic variation and to the development of distinct varieties of ‘pure’ and ‘mixed’ Kagulu. A comprehensive documentation of the language needs to take this variation into account and to provide a description of the different varieties and their interaction. The paper illustrates this point by charting the development of a specific text within a language documentation project. A comparison of three versions of the text – a recorded oral story, a transcribed version of it and a further, edited version in which features of pure Kagulu are edited in – shows the dynamics of how the different versions of the text interact and provides a detailed picture of linguistic variation and of speakers’ use and exploitation of it. We show that all versions of the text are valid, ‘authentic’ representations of their own linguistic reality, and how all three of them, and the processes of their genesis, are an integral part of a comprehensive documentation of Kagulu and its linguistic ecology. Abstract: This paper investigates the complex interplay between different sets of language ideologies and multilingual practice in a village in Lower Casamance (Senegal). In this heterogeneous linguistic environment, which is typical of many African settings, individuals have large and adaptive linguistic repertoires. The local language ideologies focus on different aspects of identity which languages serve to index, but enable individuals to focus on different facets of identity according to context. National language ideologies are essentialist and have as their goal to put constructed homogeneous communities on the polyglossic map of Senegalese languages. In contrast to similarly essential Western ideologies, however, these national ideologies operating in Senegal are not linked to actual standard language practices. Using the example of individuals in two households and by presenting rich ethnographic information on them, the paper explores the relationship between language use and language ideologies before describing a sampling method for documenting language use in these contexts. It is argued that the documentation of these contexts cannot be achieved independently of an understanding of the language ideologies at work, as they influence what is presented as linguistic practice, and that arriving at a holistic description and documentation of the multilingual settings of Africa and beyond is central for advancing linguistic theory in sociolinguistics, psycholinguistics and contact linguistics. Abstract: Documentary linguists have often been urged to integrate language ideologies and other topics more closely to ethnography than to linguistics in their research, but these recommendations have seldom coincided, in literature, with practical directions for their implementation. This paper aims to contribute to filling this gap. 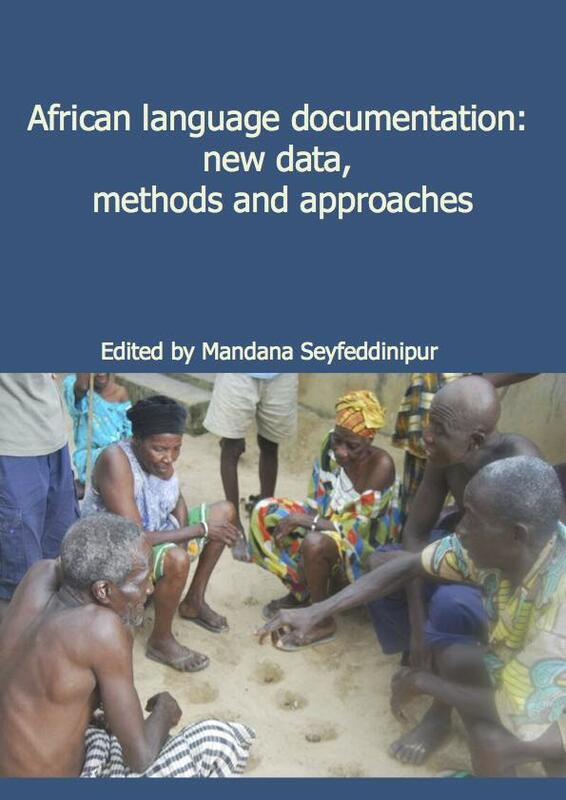 After re-considering current documentary approaches, a case study from a documentation project in NW Cameroon is presented to show how an ethnographically-informed sociolinguistic survey on multilingualism can lead to progressively deeper insights into the local language ideology. The methodological implications that this research perspective brings to both documentary linguistics and language support and revitalization projects are discussed. A number of practical suggestions are finally proposed, illustrating the importance of language documentation projects being carried out by multidisciplinary teams. Here I present the background to, and a description of, a newly developed database of historical and contemporary lexical data for Australian languages (Chirila), concentrating on the Pama-Nyungan family (the largest family in the country). While the database was initially developed in order to facilitate research on cognate words and reconstructions, it has had many uses beyond its original purpose, in synchronic theoretical linguistics, language documentation, and language reclamation. Creating a multi-audience database of this type has been challenging, however. Some of the challenges stemmed from success: as the size of the database grew, the original data structure became unwieldy. Other challenges grew from the difficulties in anticipating future needs, in keeping track of materials, and in coping with diverse input formats for so many highly endangered languages. In this paper I document the structure of the database, provide an overview of its uses (both in diachronic and synchronic research), and discuss some of the issues that have arisen during the project and choices that needed to be made as the database was created, compiled, curated, and shared. I address here the major problems that arise with linguistic data, particularly databases created for diverse audiences, from diverse data, with little infrastructure support. Intergenerational transmission, the ultimate goal of language revitalization efforts, can only be achieved by (re)establishing the conditions under which an imperiled language can be acquired by the community’s children. This paper presents a tutorial survey of several key points relating to language acquisition and maintenance in children, focusing on four matters that are of direct relevance to work on language revitalization. In this paper, we propose a methodology for collecting naturally occurring data on evidentials and epistemic modals. We use Desano (Eastern Tukanoan) as a case study. This language has a complex evidential system with six evidential forms. The methodology in question consists of having Desano speakers to play a logic game, Mastermind. In this game one player (the codemaker) places colored pegs behind a screen and the other player (the codebreaker) tries to guess the code, receiving partial feedback from the codemaker through clues after each intermediate guess. In order to offset the unnaturalness of the codemaker’s exclusive knowledge of the actual code, we adapt the task to have two codebreakers playing the game jointly and discussing what they know, what the code could/must be, etc. We found that there are several benefits to this method. It provides naturalistic dialogue between multiple speakers, rather than just monologue; utterances naturally vary as to whether speakers in the scenario have access to and interest in what kind of information source the speaker has or simply the conclusion they draw from this information; finally, an important point is that speakers find the task enjoyable. We hope that this study can add the body of literature on methods for collecting naturalistic speech for language documentation and description. A re-emergence in language documentation has brought with it a recent recognition of the potential contributions which collaboration with other disciplines has to offer linguistics. For example, ten chapters of the recently published Oxford Handbook of Linguistic Fieldwork (Thieberger 2012) were explicitly devoted to cross-discipline collaboration. Among the topics covered were ethnomathematics, geography, astronomy, biology, and ethnobotany. Linguists who work in ethnobiology can make important observations about our interactions with the natural world, as has been persuasively argued by Si (2011). In a separate publication, Si (2013) shows that the Solega people of southern India possess an unusually rich knowledge of honeybees and their practices, despite not being beekeepers. Of course, the importance of these sorts of studies has been noted outside of linguistics for some time. The current study has grown from discussions with a biologist for a collaborative project. This paper proposes a discourse-based approach to the language documentation of local ecological knowledge (LEK). 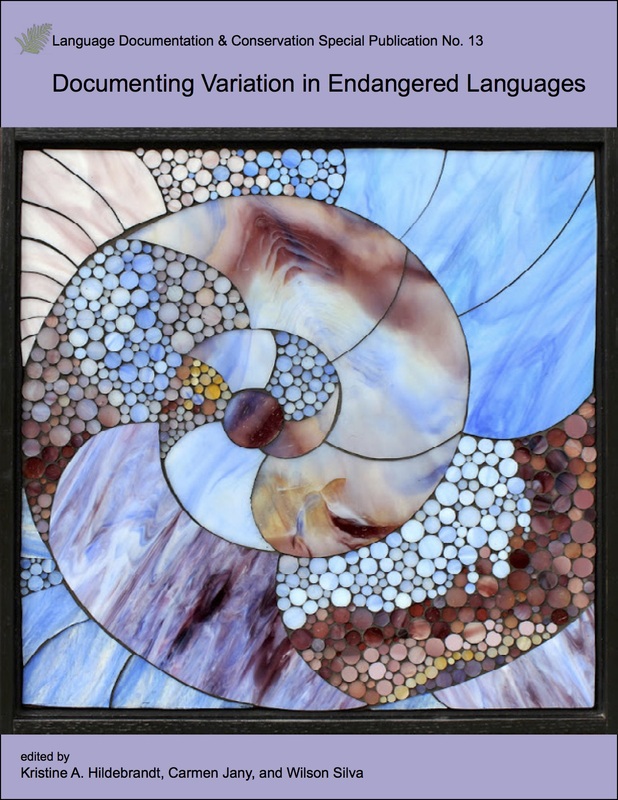 The knowledge, skills, beliefs, cultural worldviews, and ideologies that shape the way a community interacts with its environment can be examined through the discourse in which LEK emerges. ‘Discourse-based’ refers to two components: (1) the discovery and collection of LEK and its contexts through methods informed by the ethnography of communication, and (2) the analysis of speech that encodes LEK in the framework of Interactional Sociolinguistics. This discourse-based approach not only addresses the general need to accumulate more instances of speech (about LEK, or otherwise) in a documentary corpus, but also provides an analysis of the communicative event, one that sheds light on the dynamic nature of the content of that speech in the particular sociocultural context of that speech community, embedded in discursive moments. Fundamental to this approach is the need for collaboration across disciplines. This paper explores the links that can be made among the fields of language documentation, ethnobiology, and sociolinguistics. Taropwe ie e aweenenei ia usun iaash sipwé weewetei iaan arames kile are aweewen mé aitiitan masawan leeset, fanéú, mé fáán lááng—ie arames re kai úró ‘local ecological knowledge (LEK)’—ngé iaash weewetei mi alóngólóng óón iaan arames apworaus, are ‘discourse.’ Llan eeu mé eeu kinikinin shóón sóópw kewe, iaar túmwúnú meet masawan leeset, óón fanéú, are fáán lááng mi kan alóngólóng óón iaar kile, iaar féfféér, iaar lúúk, iaar weewe, o pwal iaar awennam, iwe ngé simi toonganei weewetei fishi iaan shóón sóópw kewe kile mé féfféér kare saa longeetei fishi are aúsaleng fishi nganei iaar kewe apworaus. Ei sokkon aweewe e alóngólóng óón ruwou kinikin: (1) eeu kinikin ewe re kai úró ‘the ethnography of communication’ (weewen, sipwé longeetei fishi meet mi ffis lúpwan arames raa kan kakkapas are apworaus fangan), ei mi ossen lómwót nganei iaash kaié nganei peekin LEK; o pwal (2) eeu kinikin ewe re kai úró ‘Interactional Sociolinguistcs’ (weewen, eeu sokkon aweewe e alóngolóng óón iaash sipwé longeetei fishi ttishikin me iáián kapas llan iaan arames kewe apworaus, ei mi ossen lómwót nganei peekin LEK). Ekkei sokkon kaié aa kan alapaala iaash weewetei iaan arames apworaus (usun LEK pwal ekkewe apworaus mé likin LEK) o aa kan pwal alúkkapaala iaash aweewe unusalapen masowan iaan arames apworaus. Emi aushea iaash sipwé angaang fangan reen iaash sipwé toonganei weewetei ekké sokkon apworaus. Ei taropwe e aweewenei lekóshun ekkei kinikinikin peekin kaié: language documentation, ethnobiology, mé sociolinguistics. Indigenous communities are using information and communications technology (ICT) to document languages and to support language maintenance and revitalization activities. Both critical funding and effort goes into the development, deployment, and maintenance of ICT; however, the effectiveness of ICT is not always clearly understood. This case study examines how ICT has been incorporated into Upriver Halq’eméylem language programs. Participants indicated that ICT is being used successfully as a supplementary tool in coordination with specific learning strategies and activities such as story-telling, games, and looking up a word or concept. However, they indicated that ICT is not being used outside of those specific learning activities. The study indicates that ICT can be a valuable tool in the effort to revitalize a language; however, the type of ICT and how it is integrated into the program and community need to be carefully planned out. A list of key findings is provided. This paper introduces readers to mapmaking as part of language documentation. We discuss some of the benefits and ethical challenges in producing good maps, drawing on linguistic geography and GIS literature. We then describe current tools and practices that are useful when creating maps of linguistic data, particularly using locations of field sites to identify language areas/boundaries. We demonstrate a basic workflow that uses CartoDB, before demonstrating a more complex workflow involving Google Maps and TileMill. We also discuss presentation and archiving of mapping products. The majority of the tools identified and used are open source or free to use. Documentary linguists aspiring to conduct socially responsible research find themselves immersed in a literature on ‘collaborative methods’ that does not address some of the most pressing interpersonal challenges that fieldworkers experience in their community relationships. As recent controversies about the nature of collaboration indicate, collaborative models embed assumptions about reciprocity, negotiation, and the meaning and moral valence of categories like ‘research,’ ‘language,’ and ‘documentation,’ which do not translate equally well across all communities. There is thus a need for a method flexible enough to respond to the complexity and diversity of what goes on in particular cross-cultural researcher-community relationships. In this article, we encourage documentary linguists to consider the benefits of participant observation, a research method that is designed specifically to deal with the interpersonal nature of fieldwork in the human sciences. Because it ties knowledge production directly to the development of social relationships across difference, participant observation can help documentary linguists think fruitfully about the social approaches they take in their fieldwork, whether these ultimately come to involve formal collaboration or some other form of reciprocity. This paper describes a new methodology for testing intelligibility across closely related languages and dialects in a traditional oral society in Vanuatu. There are many reasons why it could be useful to establish how well speakers of related varieties can understand one another: such knowledge is relevant to language planning and policy making, and it can shed light on the dynamics of language contact. However, conventional approaches to intelligibility testing, such as ‘recorded text testing’ (Hickerton et al. 1952; Pierce 1952; Voegelin & Harris 1951), are time consuming to score, and difficult to implement consistently. In Europe, fast and efficient intelligibility testing has been successfully carried out across closely related varieties (cf. Vanhove 2014; Gooskens forthcoming; Schüppert & Gooskens 2011a, 2011b, inter alia). However, these methods assume that test subjects are literate and computer-savvy. The methodology discussed in the present paper adapts European methods to conventional ‘fieldwork’ conditions. In Vanuatu we piloted a picture task and a translation task. Although some words had to be removed from the final analysis, the experiment was successful overall and we anticipate that this method can be fruitfully applied in other oral language communities. Many Indigenous languages, including Tlingit, are critically endangered and in urgent need of new adult speakers within the parent-aged generation. However, no consensus exists on language revitalization strategy, curricular design, lesson plans, assessment, or teaching methods. A small Tlingit cohort courageously developed and piloted a new curriculum and acquisition method by following a proven curricular design borrowed from an Interior Salish language, Nsyilxcn. This article introduces broad concepts such as the motivations behind language revitalization and quality immersion strategies for creating proficient speakers. It further describes recording techniques, the creation of sequenced curriculum designed for learners to raise each other up while teaching, and training learners to teach. It also presents a story of Tlingit language activism blended with Syilx language activism, specifically the direct acquisition method and its successful application by an adult cohort of beginner Tlingit learners. The Sign Language Documentation Training Center (SLDTC) offers workshops and linguistic training to users of threatened sign languages: currently American Sign Language (ASL) and Hawai‘i Sign Language (HSL). This project originated as a spin-off of the Language Documentation Training Center (LDTC), launched in 2004 by graduate students in the Department of Linguistics at the University of Hawai‘i at Mānoa. In its third iteration, SLDTC has aimed to train users of threatened signed languages to document their own languages in ways that make the information useful for those interested in these languages. The SLDTC also aims to increase awareness of language endangerment and encourage signers to think critically about language revitalization, especially as it pertains to their own languages. The work has been rewarding, but not without its challenges, including technological and orthographic constraints, as well as the challenges of re-adapting spoken language materials for sign languages. The development of written literature in languages which are not usually written by their speakers can be confounded by a circular problem. Potential writers are reluctant or unmotivated to write in a language that no one can read. But at the same time, why learn to read a language for which there is nothing available to read? The writers wait for the readership, while the readers wait for material. In this paper I argue that Twitter can be used effectively to support burgeoning writers of languages for which no current readership exists by partnering writers with volunteer readers who do not need to know the target language. I lay out a model for this type of work that is an effective way for outside linguists and their students to support indigenous language activists. El desarrollo de literatura en lenguas que no son usualmente escritas por sus hablantes puede confundirse con un problema circular. Por un lado, los escritores potenciales son renuentes en escribir en su propia lengua o se encuentran desmotivados de escribir en una lengua que casi nadie puede leer. Por otro lado, los hablantes pueden preguntarse ¿por qué aprender a leer una lengua de la cual no hay nada disponible para leer? Los escritores esperan contar con un número de lectores, mientras que los lectores esperan tener material para leer. En este artículo argumento que la plataforma Twitter puede ser utilizada efectivamente para apoyar el florecimiento de escritores de lenguas de las cuales no hay lectores actuales, favoreciendo el equipo entre escritores y lectores voluntarios que no necesitan saber la lengua meta. Expongo un modelo para este tipo de trabajo, el cual puede ser una manera efectiva para los lingüistas y sus estudiantes y como apoyo a los activistas en lenguas indígenas. Language archives represent a complicated theoretical and practical site of convergence for Native American language communities. In this article, I explore how functionality and operation of language archives are misaligned with core sociopolitical priorities for Native American tribes. In particular, I consider how the concept of cultural and political self-determination contextualizes lack of use or resistance to participation in language archiving projects. In addition to critical evaluation, I envision a dramatically expanded role for language archives, with the goal of increasing their cultural and political compatibility for Native American groups and beyond. I use the term, ‘value-added language archive’ to describe an archive with features and support services that address emergent needs of a diverse stakeholder community. Daryl Baldwin, David J. Costa & Douglas Troy, pp. 394–410. In 1988, a young graduate student at the University of California, Berkeley began searching for materials on a little-known Algonquian language called Miami, which had ceased to be spoken sometime in the mid-twentieth century. Prompted by curiosity to describe this little-known language, the search uncovered two and a half centuries of documentation. This archival record would serve as the basis for the grammatical reconstruction of what is known today as the Miami-Illinois language, a central Algonquian language of the southern Great Lakes region. These materials are crucial not only to the reconstruction of Miami-Illinois, but also for the growing interests of Myaamia (Miami) people to reclaim their language and cultural heritage. The next twenty years proved to be a struggle in locating, duplicating, organizing and building a physical corpus of data for linguistic analysis and use in community revitalization. Language reconstruction from documentation requires tools for archival interaction and access that linguistically-based software and database applications lacked at the time. This prompted Myaamia researchers and language educators to seek out support for the construction of a digital archival database that met the needs of both tribal linguists and community culture and language revitalizationists. The first version of the Miami-Illinois Digital Archive (MIDA) became a reality in 2012 after support from the National Endowment for the Humanities (NEH) was provided to Miami University’s Myaamia Center to develop this unique research tool. This paper describes the challenges of working with digitized archival materials and how MIDA has filled the software tool gap between archives, linguists and revitalizationists. The Miami-Illinois Digital Archive can be found at http://www.ilaatawaakani.org. In this paper I describe the development of digital animation of Desano traditional stories as a way to foster the inclusion of the Desano language in mainstream digital technology media, while promoting language maintenance and dissemination of cultural knowledge among youths and young adults. The project considers the shifting contexts in which many Desano people live in the contemporary period. Digital animated Desano stories provide important public, community, and scholarly validation for the language as living, dynamic, and vital. Qualitatively different from other written materials produced for the Desano communities, animated digital materials importantly make use of oral language (i.e., animation is accompanied by the original audio in Desano and Desano subtitles), thus exposing younger generations to the sounds and orthography of the language. Oral language-based resources via animation and narration of traditional stories can aid in the group’s language maintenance efforts as they reinforce the spoken language, familiarize the community with the orthography, and celebrate traditional knowledge. Raina Heaton & Igor Xoyón, pp. 497–521. This paper discusses two assessments designed to evaluate the progress of students in the Kaqchikel immersion program at Nimaläj Kaqchikel Amaq’. Picture-naming production and comprehension tasks were used to test for proficiency in phonology and morphology as well as lexical acquisition. The tests targeted basic contrasts which are important to Kaqchikel grammatical structure. While students are still struggling with many aspects of the language such as the phonology and positional verbs, many are able to understand and use singular vs. plural intransitive verb morphology. Results are being used to improve the program and inform future methodological and curricular decisions. Colleen M. Fitzgerald & Lokosh (Joshua D. Hinson), pp. 522–547. While data collection early in the Americanist tradition included texts as part of the Boasian triad, later developments in the generative tradition moved away from narratives. With a resurgence of attention to texts in both linguistic theory and language documentation, the literature on methodologies is growing (i.e., Chelliah 2001, Chafe 1980, Burton & Matthewson 2015). We outline our approach to collecting Chickasaw texts in what we call a ‘narrative bootcamp.’ Chickasaw is a severely threatened language and no longer in common daily use. Facilitating narrative collection with elder fluent speakers is an important goal, as is the cultivation of second language speakers and the training of linguists and tribal language professionals. Our bootcamps meet these goals. Moreover, we show many positive outcomes to this approach, including a positive sense of language use and ‘fun’ voiced by the elders, the corpus expansion that occurs by collecting and processing narratives onsite in the workshop, and field methods training for novices. Importantly, we find the sparking of personal recollections facilitates the collection of heretofore unrecorded narrative genres in Chickasaw. This approach offers an especially fruitful way to build and expand a text corpus for small communities of highly endangered languages. Angela Kluge & Jeong-Ho Choi, pp. 548–600. In Sabah, as in the rest of Malaysia, many indigenous languages are threatened by language shift to (Sabah) Malay. The present study examines to what extent Bonggi, an Austronesian language spoken on Banggi Island (Sabah State), is affected by these developments. One research objective was to investigate Bonggi language vitality, and explore local (church) interest in and priorities for Bonggi language-related efforts. To minimize the influence of outside researchers, the methodological approach was based on a participatory approach to language development planning. A second objective was to examine the usefulness and appropriateness of the chosen approach. Regarding the first research objective, the findings suggest that Bonggi language vitality is still vigorous in more remote parts of the island, while language vitality is weaker in the areas closer to the main town of the island. At the same time bilingualism in (Sabah) Malay appears to be pervasive throughout the Bonggi speech community. The findings also indicate that interest in Bonggi language work is rather limited. A few Bonggi church communities, however, expressed interest in creating Bonggi songs. Concerning the second research objective, the review of the methodology shows that the chosen approach is not appropriate in the context of research-driven sociolinguistic studies. Stan Anonby & David M. Eberhard, pp. 601–628. Language use patterns of individual speech communities are largely conditioned by the different language ecologies in which they are immersed. We believe this ecological stance helps explain why minority languages of Asia are more likely to be sustainable than those in the Americas. We have identified fourteen traits which characterize ecologies in general, describing how they play out differently in the Americas versus Asia. Each trait is considered to be on a continuum, with opposing values that measure whether conditions are more or less favorable to language maintenance. On one side of the continuum, we discuss the values in the Americas, and explain how these are more favorable to language shift. On the other side of the scale, we talk about the values in Asia, and explain how these are more conducive to language maintenance. To show the application of these traits, the paper also includes two in-depth case studies as prototypical examples from each area, one from the Americas and one from Asia. We conclude with some comments about how these traits can be useful for those engaged in language development work. Christina Wasson, Gary Holton & Heather S. Roth, pp. 641–681. This article describes findings from a workshop that initiated a dialogue between the fields of user-centered design (UCD) and language archives. One of the challenges facing language archives is the fact that they typically have multiple user groups with significantly different information needs, as well as varying cultural practices of data sharing, access and use. UCD, informed by design anthropology, can help developers of language archives identify the main user groups of a particular archive; work with those user groups to map their needs and cultural practices; and translate those insights into archive design. The article describes findings from the workshop on User-Centered Design of Language Archives in February 2016. It reviews relevant aspects of language archiving and user-centered design to construct the rationale for the workshop, relates key insights produced during the workshop, and outlines next steps in the larger research trajectory initiated by this workshop. One major insight from the workshop was the discovery that at present, most language archives are not meeting the needs of most users. Representatives from all user groups expressed frustration at the current design of most language archives. This discovery points to the value of introducing a user-centered approach, so that the design of language archives can be better informed by the needs of users. Mutsun is a Costanoan language (part of the Utian language family) from California in the area around the modern towns of San Juan Bautista, Hollister, and Gilroy. The last fluent speaker of Mutsun, Mrs. Ascension Solarsano, died in 1930. Because of her work and the work of earlier native Mutsun speakers with early linguists, there is a large written corpus of Mutsun. This dictionary was compiled by analyzing that documentation. The dictionary is written to be useful both for language revitalization and for linguistic research. Europe is a continent with low linguistic diversity and the number of minority and endangered languages is reduced in comparison to other parts of the world. Consequently, Europe is not in the focus of the researchers working on language documentation. Apart from some “major” minority languages in Europe (Catalan, Galician, Breton, Welsh, Basque, etc. ), several of the European endangered languages are not known in detail (even in the academia) or documented in a concise and comprehensive way. Primary data on these languages, reflecting their everyday use, is almost non-existent. Moreover, the linguistic diversity in Europe is also unknown to the general public. exchange ideas and techniques on language documentation, archiving, and revitalization; to further methodological discussions and collaborative research into linguistic diversity in Europe; and to reflect on language policy issues. Abstract: The rising of language policy worldwide is a consequence of a globalized world and the openness of borders. Even countries with a relative cultural homogeneity face nowadays new challenges regarding massive migration fluxes and the results of growing awareness for endangered languages and cultures, notably in Europe. This is being noticed around the Old Continent where diversity proves to be a distinct value since ever. In this paper we reflect on the scope of cultural identity and multilingualism to shed new light on language policy and consequently refresh our understanding of a key policy, which is already a decisive public policy for the European peoples. Abstract: This paper discusses major historical, cultural, linguistic, social and institutional factors contributing to the shift and endangerment of the Nahuatl language in Mexico. As a practical proposal, we discuss our strategy for its revitalization, as well as a series of projects and activities we have been carrying out for the last several years. Crucial to this approach are several complementary elements: interdisciplinary research, including documentary work, as well as investigation of both the historical and the present state of Nahua language and culture; integration of both Western and native-speaking indigenous researchers as equal partners and the provision of space for indigenous methodologies; creation of teaching programs for native and non-native speakers oriented toward the preparation of language materials; and close collaboration with indigenous communities in developing community-based programs. The operability of this strategy will depend greatly on our ability to foster collaboration across academic, social, and ideological boundaries, to integrate theory, methodology and program implementation, and to efficiently combine grass- roots and top-down approaches. An important aim is to restore the culture of literacy in Nahuatl through our monolingual Totlahtol series, publishing works from all variants of the language and encompassing all genres of writing. We also strive to strengthen the historical and cultural identity of native speakers by facilitating their access to the alphabetical texts written by their ancestors during the colonial era. Abstract: This paper describes the creation of base NLP resources and tools for an under- resourced minority language spoken in Portugal, Mirandese, in the context of the generation of a text-to-speech system, a collaborative citizenship project between Microsoft, ILTEC, and ALM – Associaçon de la Lhéngua Mirandesa. Development efforts encompassed the compilation of a large textual corpus, definition of a complete phone-set, development of a tokenizer, inflector, TN and GTP modules, and creation of a large phonetic lexicon with syllable segmentation, stress mark-up, and POS. The TTS system will provide an open access web interface freely available to the community, along with the other resources. We took advantage of mature tools, resources, and processes al- ready available for phylogenetically-close languages, allowing us to cut development time and resources to a great extent, a solution that can be viable for other lesser-spoken languages which enjoy a similar situation. Abstract: Language Documentation, as defined by Himmelmann (2006), aims at compiling and preserving linguistic data for studies in linguistics, literature, history, ethnology, sociology. This initiative is vital for endangered languages such as Occitan, a romance language spoken in southern France and in several valleys of Spain and Italy. The documentation of a language concerns all its modalities, covering spoken and written language, various registers and so on. Nowadays, Occitan documentation mostly consists of data from linguistic atlases, virtual libraries from the modern to the contemporary period, and text bases for the Middle Ages. BaTelÒc is a text base for modern and contemporary periods. With the aim of creating a wide coverage of text collections, BaTelÒc gathers not only written literary texts (prose, drama and poetry) but also other genres such as technical texts and newspapers. Enough material is already available to foresee a text base of hundreds of millions of words. BaTelÒc not only aims at documenting Occitan, it is also designed to provide tools to explore texts (different criteria for corpus selection, concordance tools and more complex enquiries with regular expressions). As for linguistic analysis, the second step is to enrich the corpora with annotations. Natural Language Processing of endangered languages such as Occitan is very challenging. It is not possible to transpose existing models for resource-rich languages directly, partly because of the spelling, dialectal variations, and lack of standardization. With BaTelÒc we aim at providing corpora and lexicons for the development of basic natural language processing tools, namely OCR and a Part-of-Speech tagger based on tools initially designed for machine translation and which take variation into account. Abstract: Different groups have differing motivations for participating in language documentation projects. Linguists want to increase our knowledge of languages and linguistic theory, but constraints on their work may lead to issues with their documentation projects, including their representations of the languages they study. Native speakers participate to maintain and develop their language, and may choose to represent it in a way which showcases their culture and attitudes. In order to encourage more native speakers to take part in documentation projects, a simple integrated system is required which will enable them to record, annotate and publish recordings. Language Landscape, our web-based application, enables native speakers to publish their recordings, and Aikuma, a mobile application for documentation, enables them to record and orally translate recordings, in both cases with minimal cost and training required. Language Landscape benefits communities by allowing them to document their language as they see fit, as demonstrated by our outreach program, through which some London school children created their own projects to document their own languages and those spoken around them. Abstract: A Fala has never had a standardized orthography as it is a language of oral tradition and almost all written documents have always been produced only in Spanish. The few documents which exist in A Fala use orthographies that vary considerably, especially when indicating the phonemes which are absent in standard Spanish. However, in the past decades there have been signs of an increasing interest regarding the language and cultural identity in the three villages and there have also been attempts to establish organizations to promote the language, such as A Fala y Cultura, U Lagartu Verdi, and A Nosa Fala. This increase in language awareness leads inevitably to situations, when the speakers want to express their linguistic identity in written form and the lack of written standard makes this task rather difficult. The objective of this paper is to analyze the public inscriptions, direction signs and street names written in A Fala. The appearance of these signs expresses the willingness of the speakers of A Fala to claim their linguistic identity. At the same time, their inconsistent orthography reveals the problems that arise in the course of writing their language. There are two main causes of these difficulties: The influence of Spanish, as all the speakers are bilingual in Spanish, and variation within the language itself. Regarding the first cause, the main issues include the uncertainty how to write the phonemes that do not exist in standard Spanish, and also whether the phonemes that do exist in Spanish should be written in the same way or not. In respect of the second cause, the signposts and street names reflect the three main varieties: Valverdeñu, Lagarteiru and Mañegu. They also partially reflect the ideas of those who created them and testify to a certain evolution in time. In general, the linguistic data in the form of street names and direction signs provide relevant information about the options for writing those phonemes which do not have an equivalent in Spanish, as well as geographical (diatopic) variation, and the changes of ideas regarding the orthography. This paper will use this valuable linguistic material to reflect on the issues that are involved in the establishment of an orthographical standard. Abstract: In this paper we present a brief overview of the history of linguistic contacts of Arbanasi Albanian, a Gheg Albanian dialect spoken in Croatia, with Croatian and Italian. Then we discuss a number of contact-induced changes in that language. We show that Arbanasi Albanian was subject to strong influences from Croatian (and, to a lesser extent, from Italian) on all levels of linguistic structure. Using the data from our own fieldwork, we were able to show that there were also influences on the level of syntax, including the borrowing of certain constructions, such as analytic causative and imperative constructions, as well as the extension of the use of infinitive in subordinate clauses. Abstract: The Arabic of Ceuta is the native language of 40% of the Spanish population of Ceuta, which also speaks Spanish. The remainder 60% is mostly monolingual and their native language is Spanish. There is also 1% of bilingual citizens whose native tongue is Sindhi. The Arabic of Ceuta is Moroccan Arabic, the native language of 60% of the population of the neighboring country and, specifically, it shares common features with the northern dialect area (Yebala region and the Atlantic coast down to the city of Larache). But its use in Spanish territory since the second half of 19th century gave rise to two phenomena: Spanish borrowings and code-switching in the case of bilingual speakers. The Arabic of Ceuta is an oral language, like Moroccan Arabic, which has never been standardized from the political sphere, in contrast with literal Arabic (also called cultivated, standard, modern or classic), which is not the native language of any Arab in the world and has emerged as the only means of educational, political, and cultural expression due to political and religious power. Despite this, there is a whole literary tradition, oral and written, in Moroccan Arabic, especially from the 20th century. Currently, there is a group of Moroccan professors and intellectuals working on its coding in order to generalize a writing system in Arabic script. Ceuta is the Spanish region with the highest school dropout rate in Spain, and this is particularly acute in schools where the majority of students are bilingual. Many experts recommend teachers and professors to teach in the native language of their pupils, at least at the beginning of their education. In this paper we will put forward some proposals for the recognition of Ceuta Arabic as coded by the movement of Moroccan intellectuals who are already working on the development of a dictionary, a grammar, text collections, and translations of works from the European literature to Moroccan Arabic. The ultimate goal should be its inclusion in the educational and administrative services of the city as well as to achieve an official status in the future, rightly recognized by the Spanish Constitution. Abstract: Judeo-Spanish is a secondary dialect of the Spanish language having evolved from the ancient standard Spanish in the course of its expansion southwards. Although the language enjoys a heritage and presence in the Balkans of over five centuries, it is now facing language death – its acuteness depending on the region. In Macedonia,1 the two varieties of Bitola and Skopje last documented by Kolonomos (1962) need to be labelled “moribund” or “nearly extinct”. This paper aims to point out some of the aspects relevant to the author’s doctoral research study, in which a documentation of the current language status of Judeo-Spanish in Macedonia is envisaged. The deliberations look at the reasons for language endangerment and at the same time evaluate possibilities and opportunities for language revitalization – what priorities are to be set, what role do linguists and especially the community play, what is the approach, what are skills, methods, and steps to be taken into consideration to ensure not only a documentation of the language, but also and foremost its conservation and revitalization. Abstract: Since the times of the Teutonic order until 1923, the Curonian Peninsula was a part of Prussia, and later – a part of Germany. Baltic tribes’ migration processes of different intensity occurred here. In the 16th century the newcomers from Latvian speaking Courland started to dominate, moving to the spit in several waves up to the 18th century; at the same time, people from the continental part (the majority of them were Germanized Prussians), colonizers from other German lands, and Lithuanians from the Klaipeda area settled in the region. The Kursenieku language, also known as New Curonian (German Nehrungskurisch) can be categorized as a mixture of Latvian Curonian dialects with Lithuanian, German, and elements of the now extinct Old Prussian. Since it had no written form, Kursenieku was roofed by Lithuanian and later by German, which had functioned as languages of religion and education for a long time. The community disintegrated at the end of World War II. After the Kursenieki community left their homeland and settled in different towns and villages of Germany, there was no practical use for the maintenance of Kursenieku. The chronological reconstruction of the Kursenieku is possible and useful for the Baltic studies; however, there is no motive for revitalization: nowadays, there is no community willing to use this language. This article briefly presents the development of the Kursenieku language in its ethnocultural context. Moreover, it raises the discussion around its status (variety or language), provides its sociolinguistic characteristics, describes the work that has been done with the language, and presents urgent goals and research perspectives. Abstract: The language Vlashki/Zheyanski, spoken in two areas – the Šušnjevica area and Žejane – of the multilingual, multiethnic Istrian peninsula of Croatia, evinces strong loyalty on the part of its elderly speakers, yet in both areas a language shift to Croatian is well underway. Vlashki/Zheyanski is a severely endangered Eastern Romance language known in the linguistic literature as Istro-Romanian. In order to study the domains and frequency of use of the language and equally to examine speaker attitudes about language and identity, we administered a questionnaire to speakers in both locations. Our sample included responses from individuals in four age groups. Our discussion here focuses on 16 men and women from the two older groups, 51–70 and 71-and- older. In Žejane, speakers saw knowledge of the language and family lineage as defining components of being a “real” member of the community. The name for the language, Zheyanski, comes from the village name. Hence, someone who speaks the language asserts that village belonging and village affiliation are at the core of speakers’ identity. In terms of national identification, whether Croatian, Italian, and/or Istrian, Zheyanski speakers by and large showed little enthusiasm for any of the three choices. In terms of language use, all respondents continue to use the language on a daily basis but report that they speak mostly Croatian to their grandchildren. In the Šušnjevica area, people used the same criteria, language knowledge and family lineage, to define group membership and feel close affiliation to their home village. Unlike in Žejane, the name of the language, “Vlashki”, does not correspond to a unitary group name accepted and liked by all. In terms of larger identity, villagers embraced identities that they share with their Croatian-speaking neighbors: Most felt “extremely Istrian”, and at least “fairly Croatian”. The language shift to Croatian is also more advanced here: All the speakers report speaking mostly Croatian to their children. While speakers in both Žejane and the Šušnjevica area endued their language with a critical role in their identity, this attitude toward Vlashki/Zheyanski does not manifest itself in their communication with younger generations where other social forces have caused the shift to the use of Croatian. Abstract: Kormakiti Arabic (also called Cypriot Maronite Arabic) is a language with approximately 150–200 speakers in Kormakitis, a village north-western Cyprus. Kormakiti Arabic is highly endangered, not only due to its low number of speakers but more importantly because younger Maronites with their roots in Kormakitis do not acquire Kormakiti Arabic naturally any more. Kormakitis itself is almost only inhabited by elderly Maronites who lived there before the separation of Cyprus in 1974. This paper is on language death and language decay of Kormakiti Arabic. Several historical sources are used in order to illustrate the historical and socio-linguistic environment this language survived until today. The linguistic evidence is then compared with the theory of Gaelic-Arvanitika-Model Sasse (1992a) in order to show parallels, as well as the differences between Arvanitika and Kormakiti Arabic. Abstract: From the sixteenth century on, the blankets of Minde, a small village in the center of Portugal, became famous all over the country. The wool combers, blanket producers, and traders of Minde began to use Minderico in order to protect their business from “intruders”. Later, this secret language extended to all social and professional groups and became the main means of communication in the village. During this process, Minderico turned into a full-fledged language with a very characteristic intonation and a complex morphosyntax, differentiating itself from Portuguese. However, the number of speakers declined drastically during the last 50 years. Minderico is now actively spoken by 150 speakers, but only 23 of them are fluent speakers. More than half of the fluent speakers are new speakers of the language. New speakerness is a relatively new phenomenon in the Minderico speaking community and a direct result of the revitalization process which was initiated in 2009. This paper examines the role of the new speakers in the revitalization of Minderico, considering issues of authenticity and socio-linguistic legitimacy. Abstract: In their efforts to organize as a recognized minority within the Polish state, the Lemkos have faced a number of obstacles, both internal and external to the community. This article explores three aspects of self-representation of the Lemko community – group membership, victimhood and “speakerhood” – and examines how these representations are contested on a number of levels. Authenticity and linguistic variety among new speakers of Basque (Jacqueline Urla; Estibaliz Amorrortu; Ane Ortega; Jone Goirigolzarri; Belen Uranga)Abstract: This paper argues that the type of variety learned and used by Basque language learners is a key element in their self-perception as “true” or authentic speakers of Basque. Drawing on focus groups and individual interviews, we find that new speakers are for the most part strongly oriented towards the value of authenticity epitomized by local varieties. While new speakers report the utility of their mastery over the new standard Basque variety, they are not inclined to view this mastery as granting themselves greater authority or ownership over Basque. Rather they strongly valorize the informal and vernacular speech forms indexing colloquial speech and local dialect most identified with native speakers. The new speaker’s sociolinguistic context and motivations for learning Basque seem to be predictive of the strength of this orientation. The findings of this study point to the necessity of further study and documentation of local vernacular as well the urgency for language educators to find ways of incorporating the acquisition of local and dialectal features into language instruction. In addition to our normal offering of excellent articles, in Volume 8 we have published three sets of themed articles: Language Documentation in the Americas edited by Keren Rice and Bruna Franchetto; The Role of Linguists in Indigenous Community Language Programs in Australia edited by John Henderson; How to Study a Tone Language edited by Steven Bird and Larry Hyman. This paper describes the evolution of a lexical resource project for Nxaʔamxcín, an endangered Salish language, from the project’s inception in the 1990s, based on legacy materials recorded in the 1960s and 1970s, to its current form as an online database that is transformable into various print and web-based formats for varying uses. We illustrate how we are using TEI P5 for data-encoding and archiving and show that TEI is a mature, reliable, flexible standard which is a valuable tool for lexical and morphological markup and for the production of lexical resources. Lexical resource creation, as is the case with language documentation and description more generally, benefits from portability and thus from conformance to standards (Bird and Simons 2003, Thieberger 2011). This paper therefore also discusses standards-harmonization, focusing on our attempt to achieve interoperability in format and terminology between our database and standards proposed for LMF, RELISH and GOLD. We show that, while it is possible to achieve interoperability, ultimately it is difficult to do so convincingly, thus raising questions about what conformance to standards means in practice. This paper highlights the role of speech community members on a series of interconnected projects to document, study and maintain Kokama, a deeply endangered language from the Peruvian Amazon. The remaining fluent speakers of the language are mostly older than 60 years of age, are spread out across various small villages, and speak the language in very restricted situations. The aim of this paper is twofold. First, it demonstrates with concrete examples that outcomes of projects implemented in collaboration with speakers yield more broadly useful outcomes than those conducted by a linguist working alone. Second, it underscores the significance of documenting language interaction among different types of speakers in accordance with the view that language preservation is not only about promoting a linguistic code, but also includes documenting communicative practices. The projects reported here can contribute to the development of fieldwork methodologies to work with a range of speakers. The involvement of community members has been crucial for the design of culturally relevant strategies to assess fluency in Kokama, for the naturalness and variety within the collected data, and for the documentation of interactional patterns essential for revitalization initiatives. This paper supports the view that language documentation, language preservation, and linguistic research can be complementary endeavors. Existing models for language revitalization focus almost exclusively on language learning and use. While recognizing the value of these models, we argue that their effective application is largely limited to situations in which languages have low numbers of speakers. For languages that are rapidly undergoing language shift, but which still maintain large vital communities of speakers, a model for revitalization is currently lacking. We offer the beginnings of such a model here, arguing that in these communities doing language revitalization must primarily mean addressing the causes of language shift, a task that we argue can be undertaken in collaborative efforts with social development organizations. The model contrasts strongly (though complementarily) with existing models in that it focuses on work in which explicitly language-focused activities are undertaken only as intentional support for social development projects. Where successful, we argue this approach achieves language revitalization goals in organic and sustainable ways that are much more difficult for language-focused programs to achieve. It therefore has the potential to stop and potentially reverse language shift in specific ways. We offer our experiences with Wuqu’ Kawoq|Maya Health Alliance, a healthcare NGO in Guatemala, which attempts to follow this model, as evidence for the model’s viability. Seneca elder Sandy Dowdy and her granddaughter Autumn Crouse direct a language nest school for children aged two to five years in a small longhouse-shaped building, Ganöhsesge:kha:’ Hë:nödeyë:sta’:, or the FaithKeepers School, on the Seneca Allegany Territory in upstate New York. They practice immersion teaching and use forms of gesturing to teach the children both conversational and spiritual functions of Seneca, capitalizing on the belief that the use of gesturing is an effective tool for teaching children, especially those in the toddler range. Gesturing is useful because language and gesture are positively linked, signing links concepts to verbal learning, gesture helps aid memory, and incorporating gesture while learning a language encourages active learning. Gesturing also helps children learn complex concepts, which is ideal for teaching Seneca since the children are learning the Ganö:nyök, literally, ‘let it be used for expressing thanks’ and otherwise known as the Thanksgiving Address, a daily recitation that expresses thankfulness for all of creation. The Pangloss Collection is a language archive developed since 1994 at the Langues et Civilisations à Tradition Orale (LACITO) research group of the French Centre National de la Recherche Scientifique (CNRS). It contributes to the documentation and study of the world’s languages by providing free access to documents of connected, spontaneous speech, mostly in endangered or under-resourced languages, recorded in their cultural context and transcribed in consultation with native speakers. 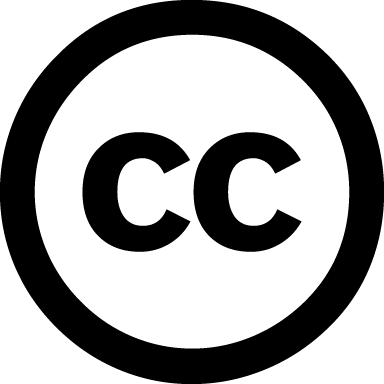 The Collection is an Open Archive containing media files (recordings), text annotations, and metadata; it currently contains over 1,400 recordings in 70 languages, including more than 400 transcribed and annotated documents. The annotations consist of transcription, free translation in English, French and/or other languages, and, in many cases, word or morpheme glosses; they are time-aligned with the recordings, usually at the utterance level. A web interface makes these annotations accessible online in an interlinear display format, in synchrony with the sound, using any standard browser. The structure of the XML documents makes them accessible to searching and indexing, always preserving the links to the recordings. Long-term preservation is guaranteed through a partnership with a digital archive. A guiding principle of the Pangloss Collection is that a close association between documentation and research is highly profitable to both. This article presents the collections currently available; it also aims to convey a sense of the range of possibilities they offer to the scientific and speaker communities and to the general public. Emerging community-based methodologies call for collaboration with speech community members. Although motivated, community members may lack the tools or training to contribute actively. In response, many linguists deliver training workshops in documentation or preservation, while others train community members to record data. Although workshops address immediate needs, they are limited to what the individual linguist can teach. Speech community linguists may articulate goals beyond what one researcher can undertake. This creates a need for more advanced training than can be provided in the field. This paper uses a case study example to illustrate how the need for advanced training can be met through university-based workshops. It describes the process, challenges, and outcomes of bringing a nine-member team of Kari’nja (Cariban) speakers from Konomerume, Suriname to Eugene, Oregon for the 2010 Northwest Indian Language Institute’s (NILI) annual Summer Institute and the Institute on Field Linguistics and Language Documentation (InField). Lessons learned are situated in the context of community-collaborative methodologies, and a central role for training is articulated. This paper demonstrates that collaboration need not be limited to academic and speech communities, but rather can extend to a greater population of individuals who share an interest in promoting linguistic diversity. way’, iskwíst, my name is, Sʔímlaʔxw, and I am from Penticton BC, Canada. kn sqilxw. I am a Syilx (Okanagan, Interior Salish) adult language learner. My cohort and I are midway in our language transformation to become proficient speakers. Our names are Prasát, Sʔímlaʔxw, C’ər̓tups, Xwnámx̌wnam, Staʔqwálqs, and our Elder, Sʕamtíc’aʔ. We created an adult immersion house, deep in Syilx territory, and lived and studied together for five months. We combined intensive curricular study, cutting-edge second-language acquisition techniques, filmed assessments, and immersion with our Elder. We emerged transformed—we are n’łəqwcin, clear speakers, speaking at an intermediate level. There has been very little written about assessment of Indigenous language teaching methods or Indigenous language speaking ability, and much less written about filmed learning and assessment. Three films were created in our language, nqilxwcn, and placed on YouTube. The films give primacy to our personal narratives, document and share our transformation, speaking abilities, grassroots language activism and learning methods. This paper describes the films, my cohort’s transformation, assesses our speaking ability, describes Paul Creek Language Association curriculum, and represents a contribution to Indigenous language teaching methods, assessment and nqilxwcn revitalization. iskwíst Sʔímlaʔxw, kn t̓l snpintktn. kn sqilxw uł kn səcmipnwíłn nqilxwcn. axáʔ inq̓əy̓mín iscm̓aʔm̓áy. kwu kcilcəl̓kst kwu capsíw̓s, iʔ sqəlxwskwskwístət Prasát, Sʔímlaʔxw, C̓ər̓tups, X̌wnámx̌wnam, Staʔqwálqs, naʔł iʔ ƛ̓x̌aptət, Sʕamtíc̓aʔ. kwu kwliwt l̓ nqilxwn iʔ citxwtət cilkst iʔ x̌yałnəx̌w uł isck̓wúl̓ kaʔłís iʔ tə syaʔyáʔx̌aʔ. iʔ l̓ syaʔyáʔx̌aʔtət, caʔkw mi wikntp iʔ scm̓am̓áy̓aʔtət iʔ kłyankxó nqilxwcn iʔ sc̓ʕaʕ̓ác̓s, kwu cnqilxwcnm, kwu səck̓waʔkwúl̓m nqilxwcn, uł kwu x̌əstwilx iʔ scqwwʔqwʔáltət. xəc̓xac̓t iʔ sckwul̓tət, naxəmł ksxan iʔ tl̓ silíʔtət iʔ l̓ kiʔláwnaʔ iʔ sn̓ilíʔtns kwu ctixwlm. ʕapnáʔ kwu capsíw̓s uł kwu n̓łəqwcin. wtntím iʔ syaʔyáʔx̌aʔtət l̓ YouTube uł iʔ scx̌minktət caʔkw ksʕaysnwím iʔ scsm̓am̓áy̓tət, kłyankxó iʔ sck̓wul̓səlx, uł caʔkw cʔkin iʔ ł sk̓waʔkwúlm iʔ nqəlqílxwcn iʔ kscm̓am̓áy̓aʔx, uł caʔkw mi łxwl̓al aʔ nqəlqilxwcntət. Most language documentation efforts focus on capturing lexico-grammatical information on individual languages. Comparatively little effort has been devoted to considering a language’s sociolinguistic contexts. In parts of the world characterized by high degrees of multilingualism, questions surrounding the factors involved in language choice and the relationship between ‘communities’ and ‘languages’ are clearly of interest to documentary linguistics, and this paper considers these issues by reporting on the results of a workshop held on sociolinguistic documentation in Sub-Saharan Africa. Over sixty participants from Africa and elsewhere discussed theoretical and methodological issues relating to the documentation of language in its social context. Relevant recommendations for projects wishing to broaden into the realm of sociolinguistic language documentation include: a greater emphasis on conversational data and the documentation of naturally occurring conversation; developing metadata conventions to allow for more nuanced descriptions of socio-cultural settings; encouraging teamwork and interdisciplinary collaboration in order to extend the scope of sociolinguistic documentation; collecting sociolinguistic data which can inform language planning and policy; and creating opportunities for training in sociolinguistic documentation. Consideration of sociolinguistic language documentation also raises significant questions regarding the ways in which Western language ideologies, which have been especially prominent in shaping documentary agendas, may be unduly influencing documentary practice in other parts of the world. Prosody plays a vital role in communication, but is one of the most widely neglected topics in language documentation. This omission is doubly detrimental since intonation is unrecoverable from transcribed texts, the most prevalent data sources for many indigenous languages. One of the underlying reasons for the dearth of prosodic data is methodological. Modern technology has removed technical barriers to recording the appropriate data, but traditional methods of elicitation still inhibit accurate documentation of linguistic structures at or above the phrasal level. In addition, these methods do not facilitate the mobilization of linguistic documentation. In this paper, we present techniques that we have developed that address both these concerns: 1) eliciting prosodic data for theoretical analysis, and 2) producing linguistic materials that can be useful for educators and curriculum developers. Highlighting advantages and disadvantages, we compare traditional elicitation and text-gathering methods with two non-traditional methodologies using non-verbal stimuli. These two non-traditional methodologies are aimed at collecting: 1) spontaneous conversation (either unguided, or task-oriented), and 2) partly scripted conversation (aided by multimedia tools). The methodologies are illustrated with original fieldwork on focus and intonation in two related, endangered Interior Salish languages – Nlhe7kepmxcín (Thompson) and St’át’imcets (Lillooet). Migrant speakers of endangered languages living in urban centers in developed countries represent a valuable resource through which these languages may be conveniently documented. Here, we first present a general methodology by which linguists can compile a meaningful set of visual (and sometimes audio) stimuli with which to carry out a reasonably detailed ethnobiological elicitation session in an ‘ex-situ’ setting, such as an urban university. We then showcase some preliminary results of such an elicitation carried out on the Dumo, or Vanimo, language of north-western Papua New Guinea during a linguistic field methods course at the Australian National University. With the help of a region-specific set of visual stimuli obtained from various sources, it was possible to document many fascinating aspects of the fish, and other marine-biological, knowledge of Dumo speakers, along with detailed ethnographic notes on the cultural significance of marine creatures. Language Documentation in the Americas, in the series Language Documentation in the Americas edited by Keren Rice and Bruna Franchetto. In the last decades, the documentation of endangered languages has advanced greatly in the Americas. In this paper we survey the role that international funding programs have played in advancing documentation in this part of the world, with a particular focus on the growth of documentation in Brazil, and we examine some of the major opportunities and challenges involved in documentation in the Americas, focusing on participatory research models. Collaboration in the Context of Teaching, Scholarship, and Language Revitalization: Experience from the Chatino Language Documentation Project, in the series Language Documentation in the Americas edited by Keren Rice and Bruna Franchetto. We describe our own experience of linguist-community collaboration over the last ten years in our Chatino Language Documentation Project, focused on the Chatino languages (Otomanguean; Oaxaca, Mexico). We relate episodes in the emergence and evolution of the collaboration between ourselves, and of the collaboration among ourselves and the Chatino communities with which we have worked. Our experience has several special features. First, our own collaboration began as native Chatino-speaking Ph.D. student and her teacher in a program focused on training speakers of Latin American indigenous languages in linguistics and anthropology, and developed into a larger collaboration among students and faculty where the student had a major leadership role. Second, our approach was documentary-descriptive and comparative, but it was also socially engaged or ‘activist,’, in that we sought to promote interest, awareness, and respect for the Chatino languages, to teach and support Chatino literacy, and to preserve and offer access to spoken Chatino, especially traditional verbal art. Our approach had synergies with local interests in writing and in honoring traditional speech ways, but it also led to conflicts over our roles as social actors, and the traditionally activist roles of indigenous teachers. Third, we experienced plasticity in the collaborative roles we played. Between ourselves, we were student and teacher, but also initiator and follower as we became engaged in revitalization. At the same time, the native speaker linguist found herself occupying a range of positions along a continuum from “insider” to “outsider” respect to her own community. The Pleasures and Pitfalls of a ‘Participatory’ Documentation Project: An Experience in Northwestern Amazonia, in the series Language Documentation in the Americas edited by Keren Rice and Bruna Franchetto. This article adds a voice from Amazonia to the reflective discussion on documentation projects designed within a ‘participatory’ or ‘collaborative’ paradigm of language research. It offers a critical assessment of one such documentation project carried out from 2007-2011 with the Kotiria and Wa’ikhana (East Tukano) language communities, who live in the remote Vaupés basin of the northwest Amazon. It examines aspects of the four-year project that most approximated the participative ideals that inspired it, including community input throughout all phases of the project, a ‘team-based’ approach grounded in local partnerships, and efforts to establish a more equitable division of power and responsibility, as well as greater self-determination in the organization of documentation activities. It also points out some of the difficulties encountered along the way and raises questions related to expectations, unforeseen consequences, and sustainability, questions that still remain to be answered. When is a linguist not a linguist: the multifarious activities and expectations for a linguist in an Australian language centre in the series The Role of Linguists in Indigenous Community Language Programs in Australia edited by John Henderson. The role of linguists employed in Aboriginal community language centres requires three considerations to be addressed by the language centres themselves, by the linguists and by the organisations that prepare them: what is required of the linguist by language centres; to what extent does the linguist’s own skills, interests and ideology match what is required by their position; and how the linguist’s capabilities can best be matched to the requirements of the language centre. These three considerations are complex, in part specific to each language centre, and can involve skills that are not immediately oriented to, or transferable from, academic knowledge and skills. The sensitive and urgent nature of language revitalisation means that high expectations are often placed on the linguist by the language centre, which can lead to disappointment for all parties in various ways, and could even compromise the effectiveness of the language revitalisation. This paper attempts to critically address these three dimensions in relation to a Western Australian language centre, focussing on a case study of a community-based languages exhibition that took place in 2008. It describes the context of the language centre and then considers the role of the linguist operating within a sociolinguistically-oriented theoretical and methodological framework to revitalize languages, identifying different conceptualisations of the role. The case study explores the range of requirements made of the linguist during the languages exhibition project, and presents some reflections on the role in that context. Reclaiming the Kaurna language: a long and lasting collaboration in an urban setting in the series The Role of Linguists in Indigenous Community Language Programs in Australia edited by John Henderson. A long-running collaboration between Kaurna people and linguists in South Australia began in 1989 with a songbook. Following annual community workshops and the establishment of teaching programs, the author embarked on a PhD to research historical sources and an emerging modern language based on these sources. In response to numerous requests for names, translations and information, together with Kaurna Elders Lewis O’Brien and Alitya Rigney, the author and others formed Kaurna Warra Pintyandi (KWP) in 2002. It is a monthly forum where researchers, and others interested in Kaurna language, can meet with Kaurna people to discuss their concerns. KWP, based at the University of Adelaide, is not incorporated and attendance of meetings is voluntary. The committee has gained a measure of credibility and respect from the Kaurna community, government departments and the public and has recently signed a Memorandum of Understanding with the University of Adelaide. However, KWP and the author sit, uneasily at times, at the intersection between the University and the community. 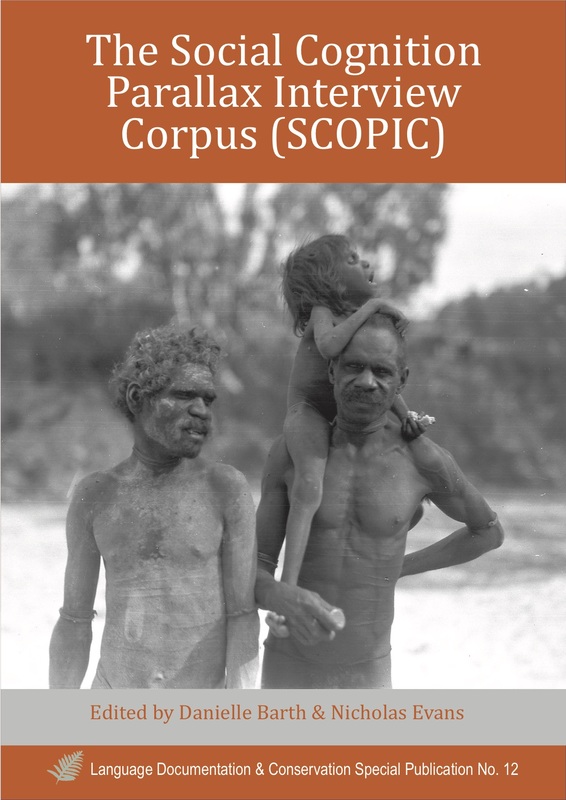 This paper explores the nature of collaboration between Kaurna people and researchers through KWP in the context of reliance on historical documentation, much of which is open to interpretation. Linguistics provides some of the skills needed for interpretation of source materials. This is complemented by knowledge held by Kaurna people that is known through oral history, spirituality and intuition. Linguists and language rebuilding: recent experience in two New South Wales languages in the series The Role of Linguists in Indigenous Community Language Programs in Australia edited by John Henderson. This paper primarily considers the role of linguists in the process of language rebuilding, or language revival, that is, the process of working with a language that is no longer spoken so that it is spoken again. The paper is largely based on experience with Gamilaraay and Yuwaalaraay, two closely-related languages from northern New South Wales in Australia, but also on experience with other languages. Between duty statement and reality – The “Linguist/Coordinator” at an Australian Indigenous language centre in the series The Role of Linguists in Indigenous Community Language Programs in Australia edited by John Henderson. The size of Australian Indigenous language centres varies from small programs with a single employment position up to large organisations which may involve several linguists, a manager and a range of support staff. This article is based on the linguist’s work at an organisation at the smaller end of the scale – Mirima Dawang Woorlabgerring Language and Culture Centre (MDWg), which operates out of Kununurra in the remote East Kimberley Region of Western Australia. Following a brief introduction to the context and history of language work at MDWg, the author sheds light on typical community expectations, which cover an array of different language-related and nonlinguistic tasks. In a scenario where the linguist and coordinator roles are assigned to a single person it becomes clear that the range of duties can be overwhelmingly diverse and go beyond anything a linguist is exposed to during his/her academic studies. The article proceeds by identifying a range of challenges for a linguist/coordinator, addressing issues such as efficiency, balance, burnout and career planning. For each challenge, possible solutions are offered, with the vision of turning challenge into opportunity. The article concludes with a set of recommendations directed at various stakeholders in the work of Indigenous language centres. Computational support for early elicitation and classification of tone in the series How to Study a Tone Language edited by Steven Bird and Larry Hyman. Investigating a tone language involves careful transcription of tone on words and phrases. This is challenging when the phonological categories – the tones or melodies – have not been identified. Effects such as coarticulation, sandhi, and phrase-level prosody appear as obstacles to early elicitation and classification of tone. This article presents open source software that can assist with solving this problem. Users listen to words and phrases of interest, before grouping them into clusters having the same tonal properties. In this manner, it is possible to quickly annotate words of interest in extended recordings, and compare items that may be widely separated in the source audio to obtain consistent labelling. Users have reported that it is possible to train one’s ear to pick up on the linguistically salient distinctions. The approach is illustrated with data from Eastern Chatino (Mexico) and Alekano (Papua New Guinea). Strategies for analyzing tone languages in the series How to Study a Tone Language edited by Steven Bird and Larry Hyman. This paper outlines a method of auditory and acoustic analysis for determining the tonemes of a language starting from scratch, drawing on the author’s experience of recording and analyzing tone languages of north-east India. The methodology is applied to a preliminary analysis of tone in the Thang dialect of Khiamniungan, a virtually undocumented language of extreme eastern Nagaland and adjacent areas of the Sagaing Division Myanmar (Burma). Following a discussion of strategies for ensuring that data appropriate for tonal analysis will be recorded, the practical demonstration begins with a description of how tone categories can be established according to their syllable type in the preliminary auditory analysis. The paper then uses this data to describe a method of acoustic analysis that ultimately permits the representation of pitch shapes as a function of absolute mean duration. The analysis of grammatical tones, floating tones and tone sandhi are exemplified with Mongsen Ao data, and a description of a perception test demonstrates how this can be used to corroborate the auditory and acoustic analysis of a tone system. Finding a way into a family of tone languages: The story and methods of the Chatino Language Documentation Project in the series How to Study a Tone Language edited by Steven Bird and Larry Hyman. We give a narrative description of our ten-year path into the elaborate tonal systems of the Chatino languages (Otomanguean; Oaxaca, Mexico), and of some of the methods we have used and recommend, illustrated with specific examples. The work, ongoing at the time of writing, began when one of us (Cruz), a native speaker of San Juan Quiahije Chatino, entered the University of Texas at Austin as a Ph.D. student and formed, together with the other of us (Woodbury), a professor there, the Chatino Language Documentation Project, ultimately incorporating five other Ph.D. students and two other senior researchers. We argue for the importance of an interplay among speaker and non-speaker perspectives over the long course of work; a mix of introspection, hypothesis-testing, natural speech recording, transcription, translation, grammatical analysis, and dictionary-making as research methods and activities; an emphasis on community training as an active research context; the simultaneous study of many varieties within a close-knit language family to leverage progress; and the use of historical-comparative methods to get to know tonal systems and the roles they play at a deeper level. How To Study a Tone Language in the series How to Study a Tone Language edited by Steven Bird and Larry Hyman. In response to requests I have often got as to how one approaches a tone language, I present a personal view of the three stages involved, starting from scratch and arriving at an analysis: Stage I: Determining the tonal contrasts and their approximate phonetic allotones. Stage II: Discovering any tonal alternations (“morphotonemics”). Stage III: establishing the tonal analysis itself. While most emphasis in the literature concerns this last stage, I show how the analysis crucially depends on the first two. A detailed illustration is presented from Oku, a Grassfields Bantu language spoken in Cameroon on which I personally worked in the field. The paper concludes with discussion of issues arising in other tone languages, illustrated by Corejuage (Tukanoan, Colombia), Peñoles Mixtec (Otomanguean, Mexico), Villa Alta Yatzachi Zapotec (Otomanguean, Mexico), Luganda (Bantu, Uganda), Hakha Lai (Tibeto-Burman, Myanmar and Northeast India), and Haya (Bantu, Tanzania). Studying Tonal Complexity, with a special reference to Mande languages in the series How to Study a Tone Language edited by Steven Bird and Larry Hyman. Linguists tend to believe that total complexity of human languages is invariable. In order to test this hypothesis empirically, we need to calculate the complexity in different domains of language structure: phonology, morphology, syntax, etc. In this paper I provide some guidelines for documenting tonal systems and evaluating their complexity. I then apply my methodology to the Mande languages of West Africa and test a tonal equi-complexity hypothesis which says that languages with more tonal contrasts tend to have fewer tonal rules and vice versa. The data presented do not support such a concept of tonal equi-complexity in the domain of phonology, but there is a strong positive correlation between the number of tonal contrasts and the number of tonal morphemes. My explanation is that tonal contrasts and tonal morphemes tend to appear as a result of segmental loss, so the two phenomena are likely to co-occur. Studying emergent tone-systems in Nepal: Pitch, phonation and word-tone in Tamang in the series How to Study a Tone Language edited by Steven Bird and Larry Hyman. This paper focuses on the particular kinds of difficulties which arise in the study of an emergent tone-system, exemplified by Tamang in Nepal, where pitch, phonation and other laryngeal features combine in the definition of a tone. As a consequence, conducting a well-ordered analysis in stages first of phonetic transcription, then variation in context, then interpretation is not possible. Rather we have to discover the contrasting categories first, and study their phonetic realization next, or do both at the same time. This also leads to questioning the validity of the traditional distinction of features into “distinctive” and “redundant” and proposing instead an analysis of an abstract “tone” as a bundle of cues. We will only sketch the second characteristic of the Tamang tone system, the extension of tone over the phonological word. The contributions of instrumental studies and of a comparative-historical perspective are discussed. The Study of tone and related phenomena in an Amazonian tone language: Gavião of Rondônia in the series How to Study a Tone Language edited by Steven Bird and Larry Hyman. This paper describes the methods used to study the tone and some related phenomena of the language of the Gavião of Rondônia, Brazil, which is part of the Mondé branch of the Tupi family. Whistling of words by indigenous informants was discovered to be a very effective method for obtaining phonetic accuracy in tone and length. Methods were devised to map out the system of tone and length. They were subsequently used in the study of other Amazonian languages, including Karitiana, Munduruku, Zoró, and Surui of Rondônia, with success. Some notes on tone considerations in orthography are offered, as well as notes on procedures that proved useful in the diachronic study of tone in the Mondé languages. Methods for the study of natural whistled speech used for distance communication are also described, with special attention to the whistled speech of the Gavião, including its use, its efficiency, and the whistling techniques used. The relation between some aspects of Gavião instrumental music and the suprasegmental aspects of the language are also discussed and the methods used to study this are described. Audio and video clips illustrate the phenomena being discussed. Studying tones in North East India: Tai, Singpho and Tangsa in the series How to Study a Tone Language edited by Steven Bird and Larry Hyman. Drawing on nearly 20 years of study of a variety of languages in North East India, from the Tai and Tibeto-Burman families, this paper examines the issues involved in studying those languages, building on three well established principles: (a) tones are categories within a language, and the recognition of those categories is the key step in describing the tonal system; (b) in at least some languages, tones are a bundle of features, of which (relative) pitch is only one; and (c) tones may carry different levels of functional load in different languages. I will discuss the use of historical and comparative data to assist with tonal analysis, while raising the possibility that the tonal categories of individual words may vary from one language variety to the next. Different approaches to marking tones, for linguistic transcriptions, presentation of acoustic data (F0) and in practical orthographies are discussed, along with the effect of intonation and grammatical factors such as nominalisation on the realisation of tones. The study of tone in languages with a quantity contrast in the series How to Study a Tone Language edited by Steven Bird and Larry Hyman. This paper deals with the study of tone in languages that additionally have a phonological contrastive of quantity, such as vowel length or stress. In such complex word-prosodic systems, tone and the quantity contrast(s) can be fully independent of one another, or they may interact. Both of these configurations are illustrated in this paper, and the phonetic pressures underlying the development of interactions are laid out. The paper pays particular attention to the challenge of investigating complex word-prosodic systems. Central to the approach advocated here is the combination of qualitative fieldwork data collection methods with instrumental analysis. On beginning the study of the tone system of a Dene (Athabaskan) language: Looking back in the series How to Study a Tone Language edited by Steven Bird and Larry Hyman. In this paper I review the methodology that I used in beginning my early fieldwork on a tonal Athabaskan language, including preparation through reading and listening, working with speakers, organizing data, and describing and analyzing the data, stressing how these are not steps or stages, but intersect and interact with each other. On Establishing Underlying Tonal Contrast in the series How to Study a Tone Language edited by Steven Bird and Larry Hyman. Phonological field work is largely about establishing contrast in comparable environments. The notion of phonological contrast, however, can be confusing, particularly in its application to tone analysis. Does it mean phonemic contrast in the structuralist sense, or does it mean underlying contrast in the generative sense? Many linguists, in publications otherwise written from a generative perspective, support underlying tonal contrasts with minimal pairs and other data that are based on structuralist criteria. This paper critiques how tonal contrast is often supported in the literature and demonstrates that many supposed minimal pairs are invalid from a generative perspective. It further demonstrates that because many morphemes in tone languages consist solely of floating tones, the potential for these cannot be ignored when establishing comparable phonological environments. The experimental state of mind in elicitation: illustrations from tonal fieldwork in the series How to Study a Tone Language edited by Steven Bird and Larry Hyman. This paper illustrates how an “experimental state of mind”, i.e. principles of experimental design, can inform hypothesis generation and testing in structured fieldwork elicitation. The application of these principles is demonstrated with case studies in toneme discovery. Pike’s classic toneme discovery procedure is shown to be a special case of the application of experimental design. It is recast in two stages: (1) the inference of the hidden structure of tonemes based on unexplained variability in the pitch contour remaining, even after other sources of influence on the pitch contour are accounted for, and (2) the confirmation of systematic effects of hypothesized tonal classes on the pitch contour in elicitations structured to control for confounding variables that could obscure the relation between tonal classes and the pitch contour. Strategies for controlling the confounding variables, such as blocking and randomization, are discussed. The two stages are exemplified using data elicited from the early stages of toneme discovery in Kirikiri, a language of New Guinea. This study is an assessment of the vitality of the Manila Bay Chabacano varieties spoken in Cavite City and Ternate, Philippines. These Spanish-lexified creoles have often been described as endangered, but until now there has been no systematic description of how stable the varieties are. The evaluation of the vitality of Manila Bay Chabacano is made based on participant observation and interviews conducted in both communities over the past nine years, using the UNESCO (2003) framework. Comparison between the two varieties shows that the proportional size of the speech community, degree of urbanization, and proximity to Manila account for differences in the vitality of the creoles. In rural Ternate, Chabacano is more stable in terms of intergenerational transmission and the proportion of speakers to the overall community. In the more urban Cavite City, most speakers are of the grandparental generation, but the community is more organized in its language preservation efforts. This study sheds light on two creole varieties in need of further documentation and sociolinguistic description, as well as the status of minority languages in the Philippines. It also offers a critical assessment of a practically-oriented methodological framework and demonstrates its application in the field. In light of a growing need to develop best practices for collaboration between the linguist and community researchers, this study provides orientation points on how to engage native speakers in linguistic fieldwork. Subcontracting native speaker-insiders is a variety of empowering collaborative field research, in which trained collaborators independently make audio and video recordings of fellow speakers in the research community, with subsequent transcription and translation of the collected texts. Using fieldwork in the Peruvian high jungle communities of Ashéninka Perené (Kampan, Arawak) as a case study, this paper examines practicalities of subcontracting such as identifying potential subcontractors, negotiating and signing an agreement, training to use practical orthography and equipment, and evaluation of the end-product. In response to the loss of more traditional modes of transmission and decreased contexts of use, members of many endangered language communities have begun revitalization programs that include formal teaching. Linguistic documentation of these languages often occurs independently of revitalization efforts and is largely led by outsider academics. Separation of documentation and revitalization is unnecessary. In fact, the two endeavors can readily support and strengthen each other. This paper describes the process of concurrently creating formal teaching materials and a documentary corpus of Kari’nja, an endangered Cariban language of Suriname. Activities described embody the Community Partnerships Model (CPM), a methodological approach to linguistic fieldwork that is collaborative and speech community-based. The work described herein represents a small portion of an ongoing documentation, description, and revitalization program. In this paper we show that much can be gained when speakers of an endangered language team up with linguistic anthropologists to comment on the documentary record of an endangered language. The Cherokee speakers in this study examined published linguistic data of a relatively understudied grammatical construction, Cherokee prepronominals. They commented freely on the form, usage, context, meaning, dialect, and other related aspects of the construction. As a result of this examination, we make the data of Cherokee prepronominals applicable to a wider audience, including other Cherokee speakers, teachers, language learners, and general community members, as well as linguists and anthropologists. The University of Hawai‘i’s Kaipuleohone Digital Ethnographic Archive was created in 2008 as part of the ongoing language documentation initiative of the Department of Linguistics. The archive is a repository for linguistic and ethnographic data gathered by linguists, anthropologists, ethnomusicologists, and others. Over the past year, the archive has grown from idea to reality, due to the hard work of faculty and students, as well as support from inside and outside the Department. This paper will outline the context for digital archiving and provide an overview of the development of Kaipuleohone, examining both concrete and theoretical issues that have been addressed along the way. The creation of the archive has not been problem-free and the archive itself is an ongoing process rather than a finished product. We hope that this paper will be useful to scholars and language workers in other areas who are considering setting up their own digital archive. This article describes how to do static palatography, a way to collect articulatory records about speech sounds that can be used either in the field or in the laboratory. Palatography creates records of the contact pattern of the tongue on the roof of the mouth during an utterance, and when the actual dimensions of the palate are known, can be a rich source of data about articulatory strategies. This paper (1) instructs the reader about the tools and methods needed to collect palatograms (records of contact on the roof of the mouth) and linguograms (records of contact on the tongue); (2) shows how to collect three-dimensional information about the size and shape of a speaker’s hard palate; (3) illustrates how to incorporate these three types of records into life-size, anatomically accurate midsagittal diagrams of speakers’ articulations; and (4) demonstrates how palatograms can be measured (and how linguograms can be categorized) in order to statistically compare articulatory strategies across speech sounds and/or across speakers. In this essay, I highlight the important role of endangered language documentation and description in the study of sound patterns. Three different perspectives are presented: a long view of phonology, from ancient to modern traditions; an areal and genetic view of sound patterns, and their relation to theory and description; and a practical perspective on the importance of research on endangered sound patterns. All perspectives converge on a common theme: the most lasting and influential contributions to the field are those with seamless boundaries between description and analysis.